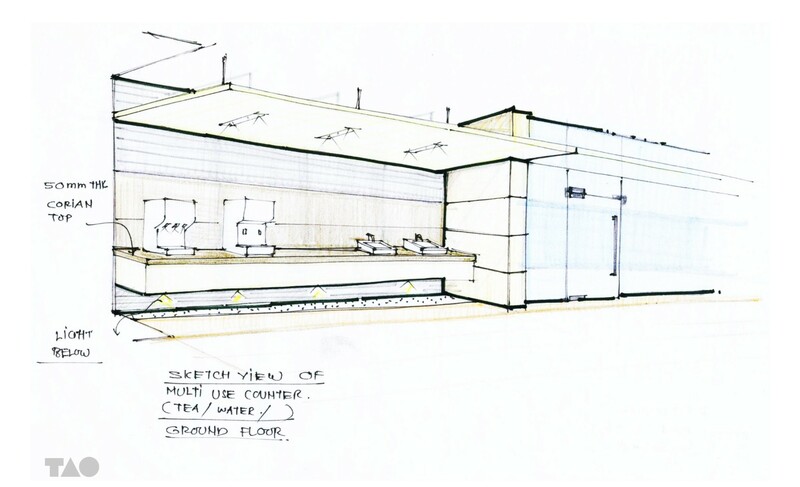 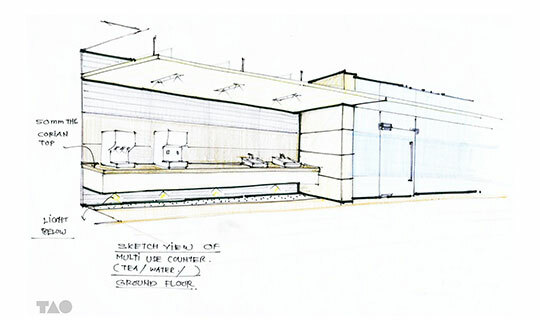 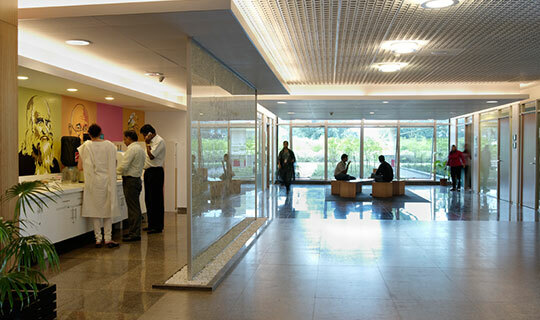 Site Area : 4.8 Lac Sq ft. 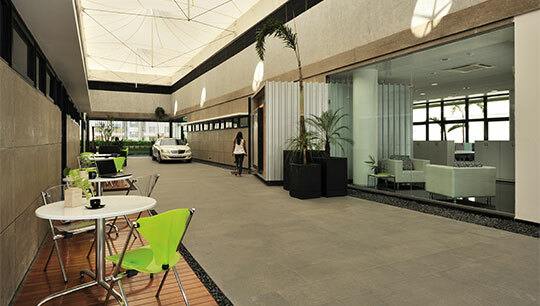 Carpet Area : 6.1 Lac Sq ft. 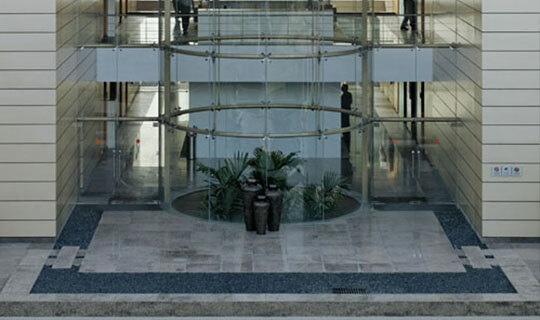 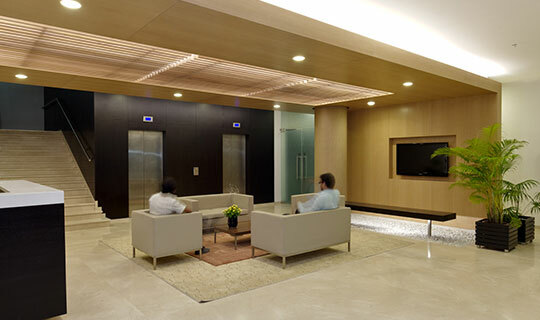 Built up Area : 7.1 Lac Sq ft. 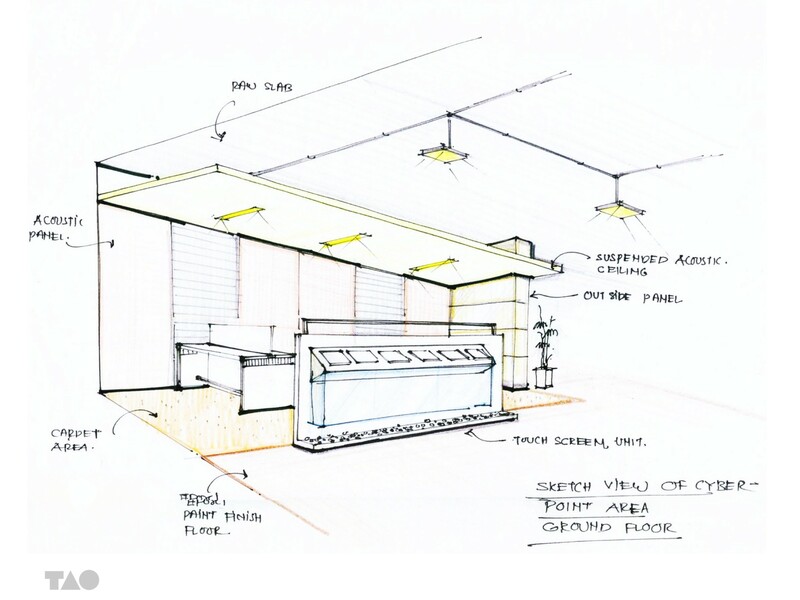 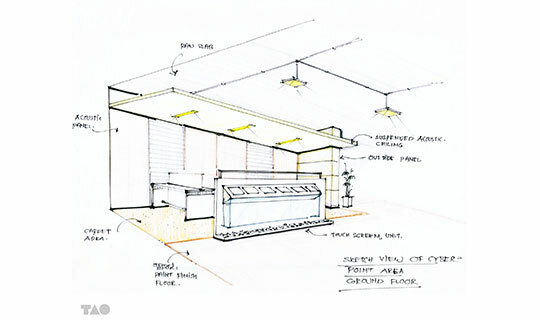 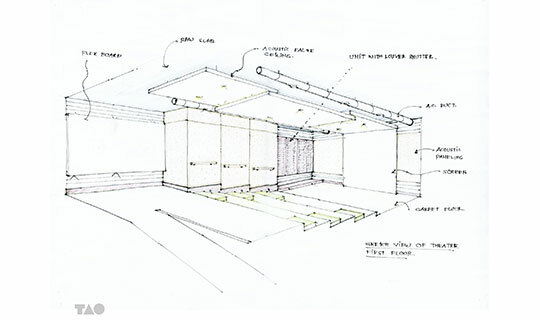 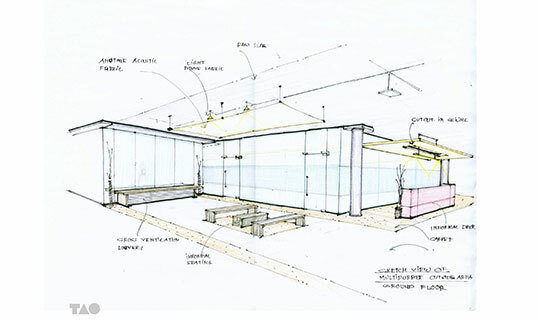 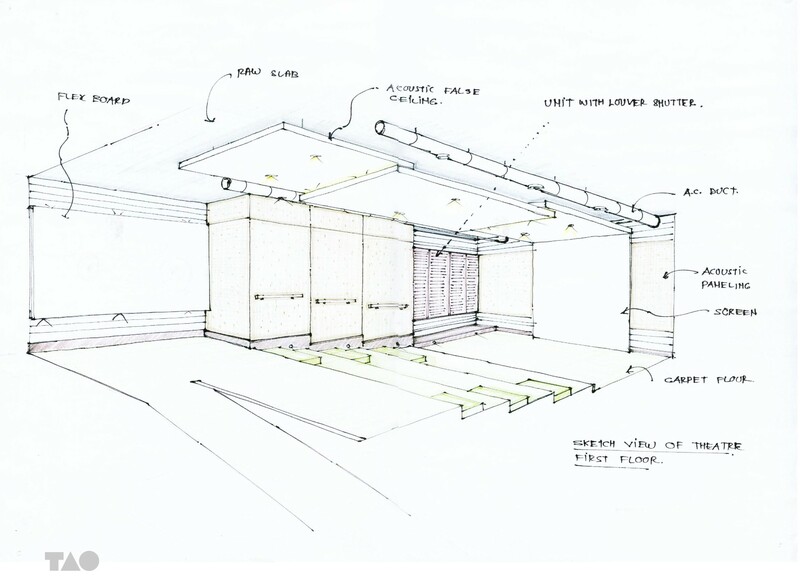 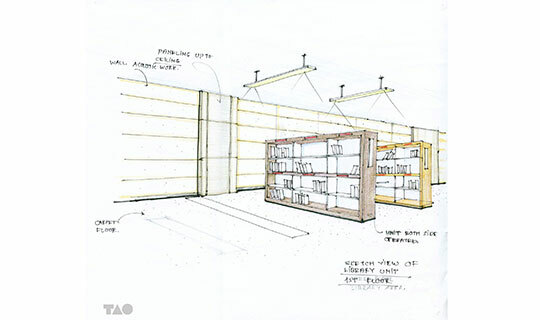 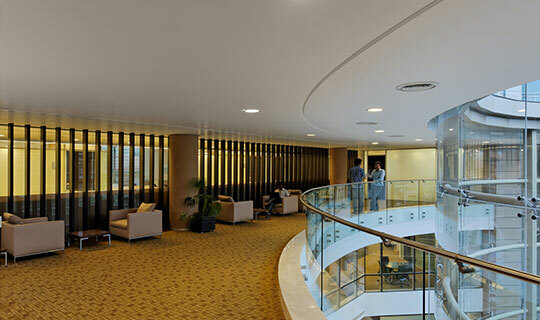 Interior design for 6 lac Sq.ft. 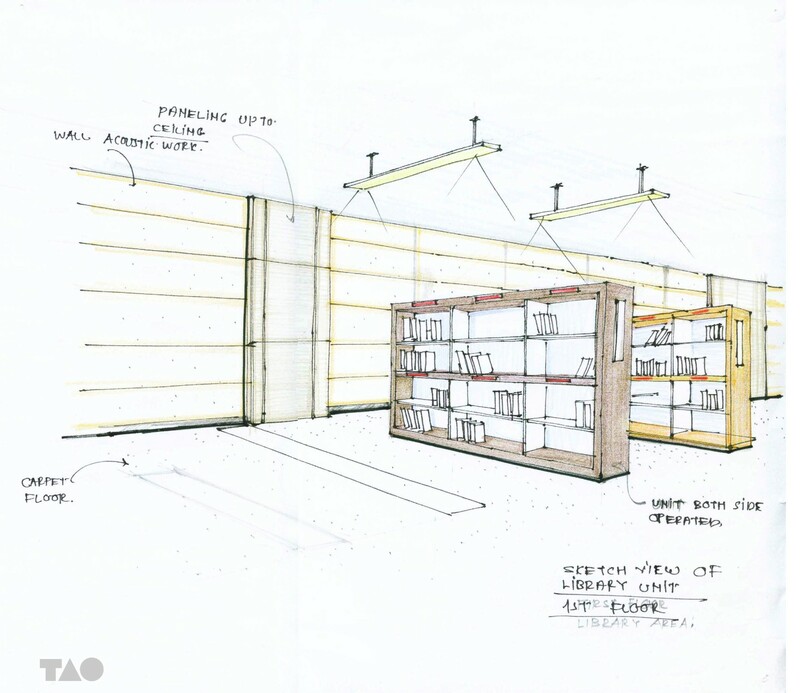 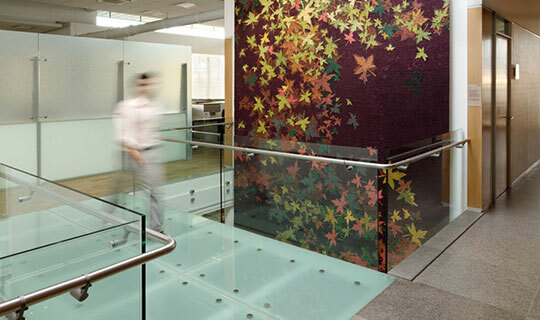 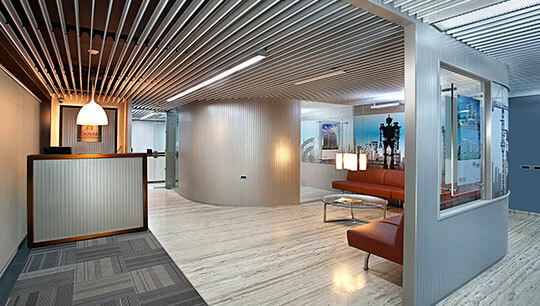 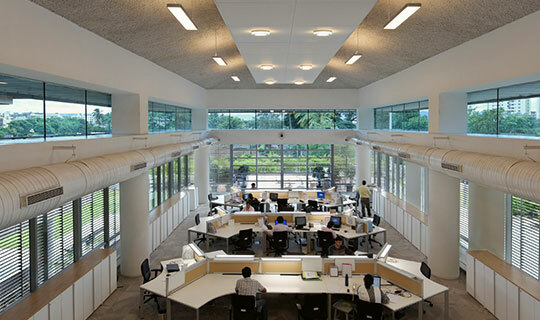 of office space from macro to micro level in coordination with architecture, landscape & communication design. 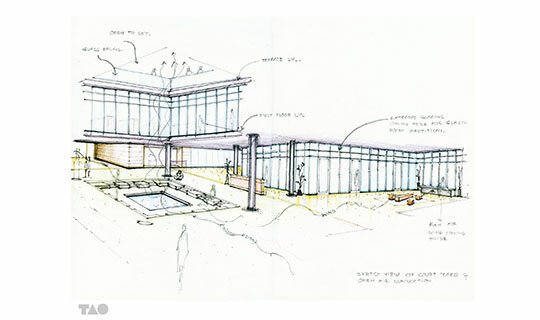 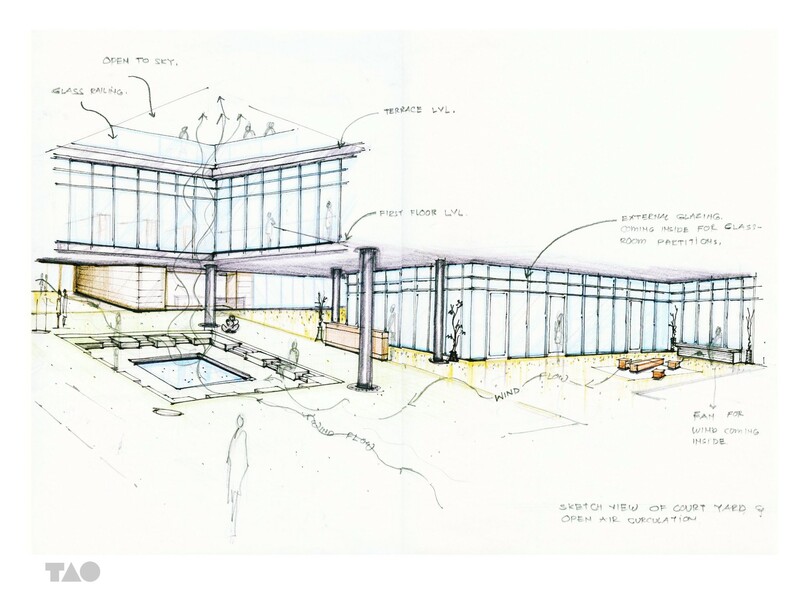 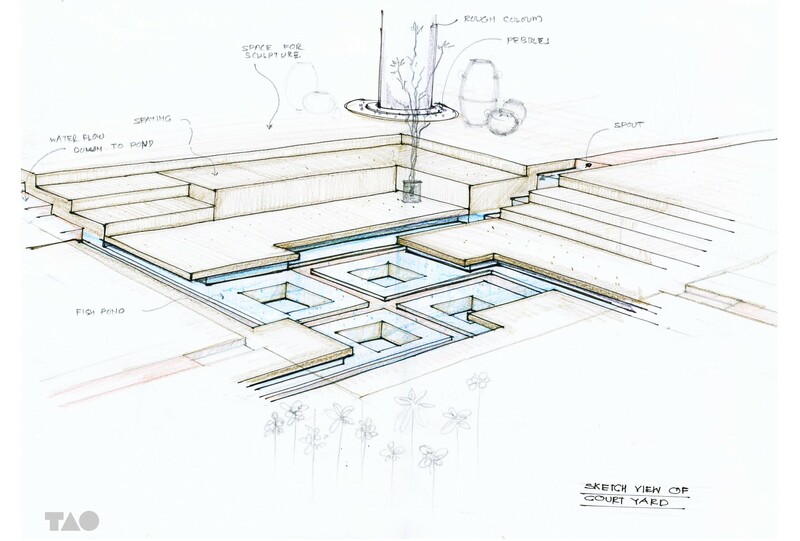 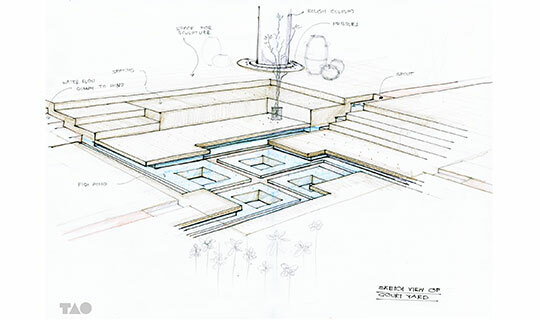 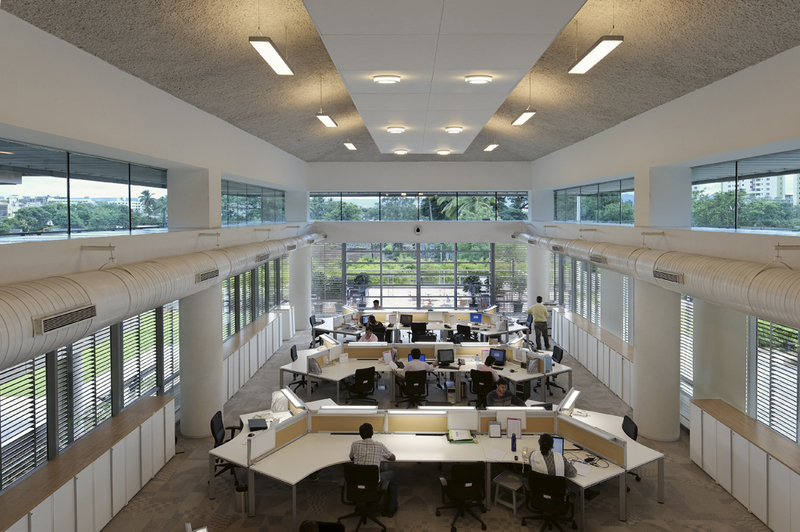 A holistic Design Concept was developed, focusing on Human well being, sensitive to the context of the Architecture and extending workzones toward the green exterior. 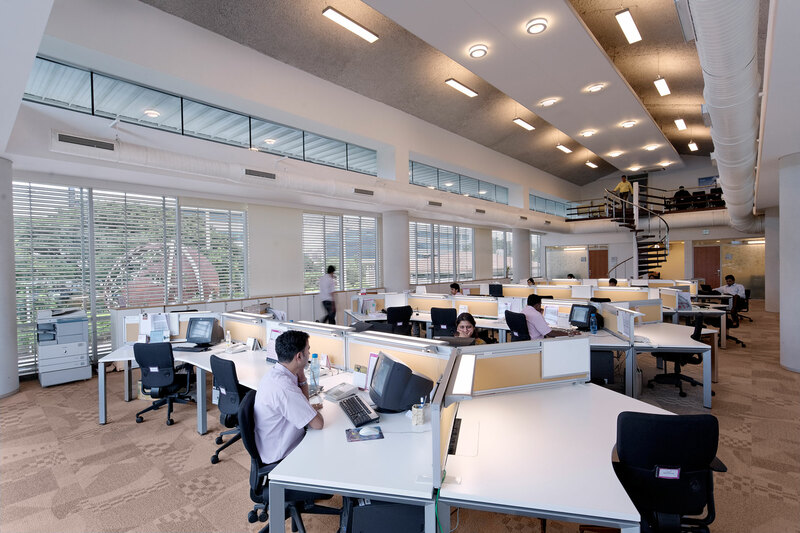 The interiors are customized to the dynamics of the work culture, while resonating with the Architectural concepts of the campus. 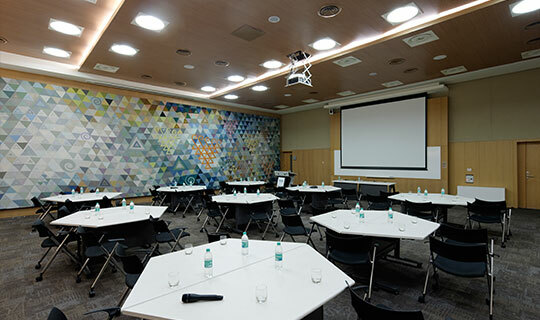 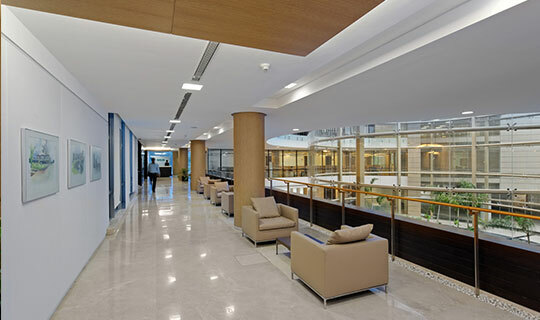 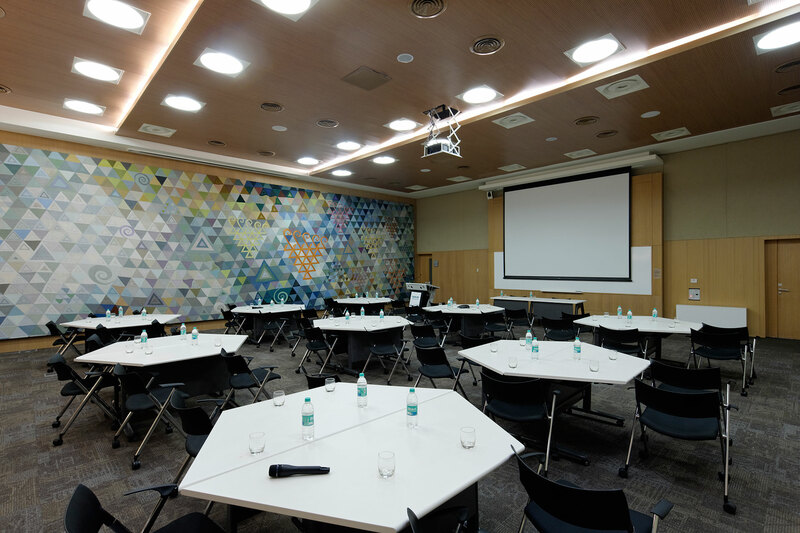 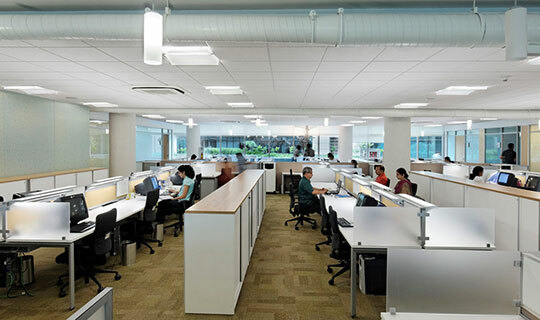 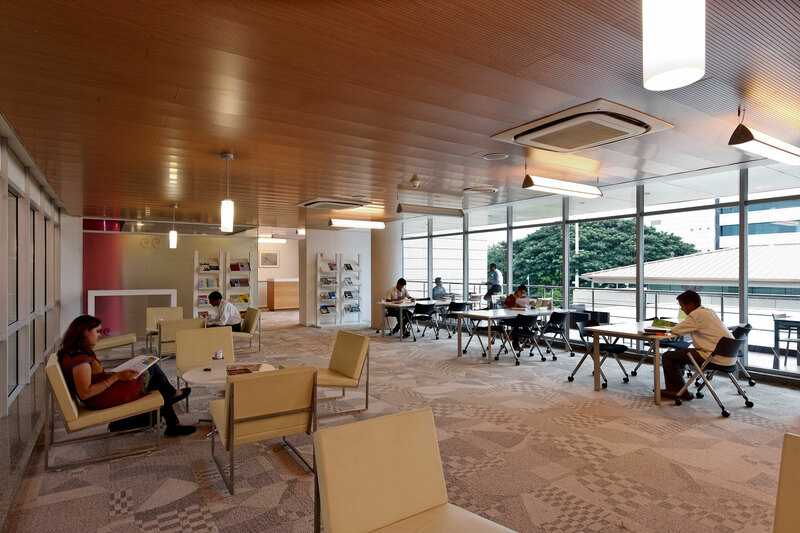 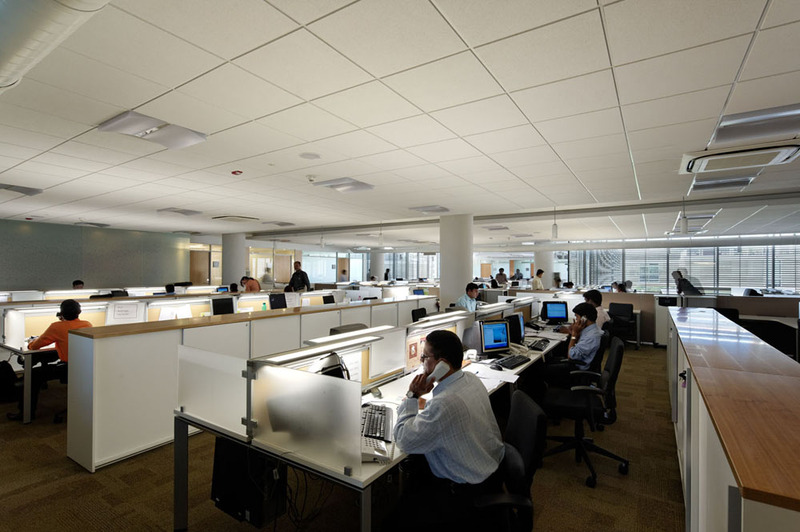 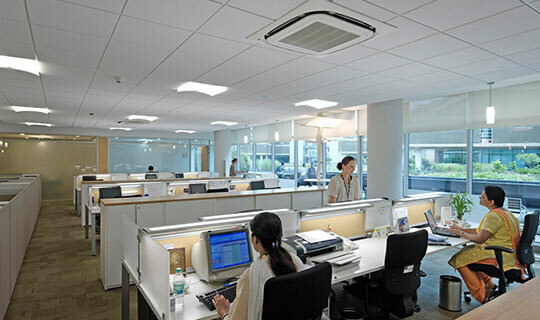 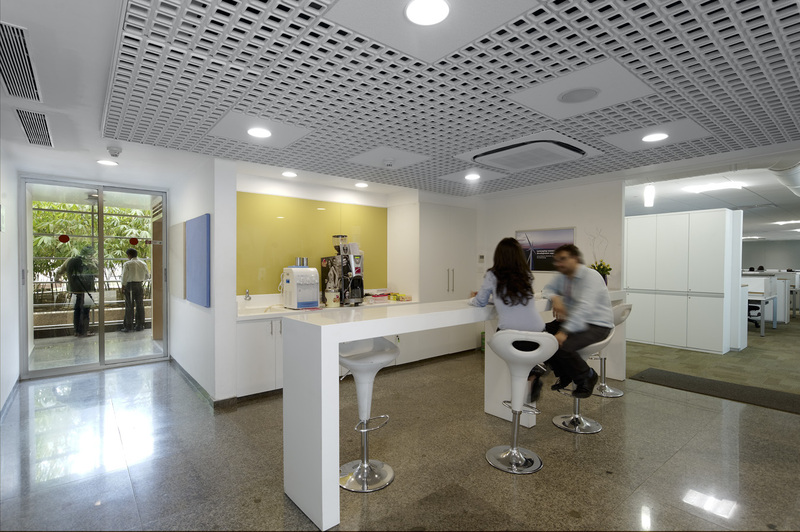 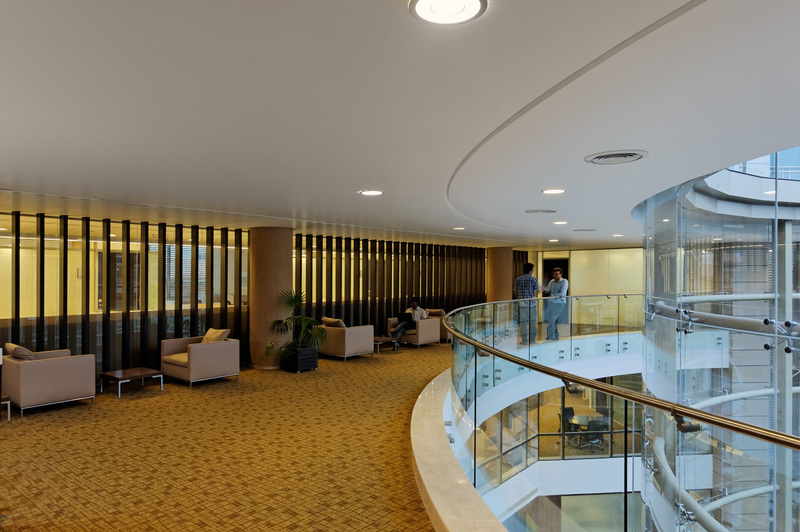 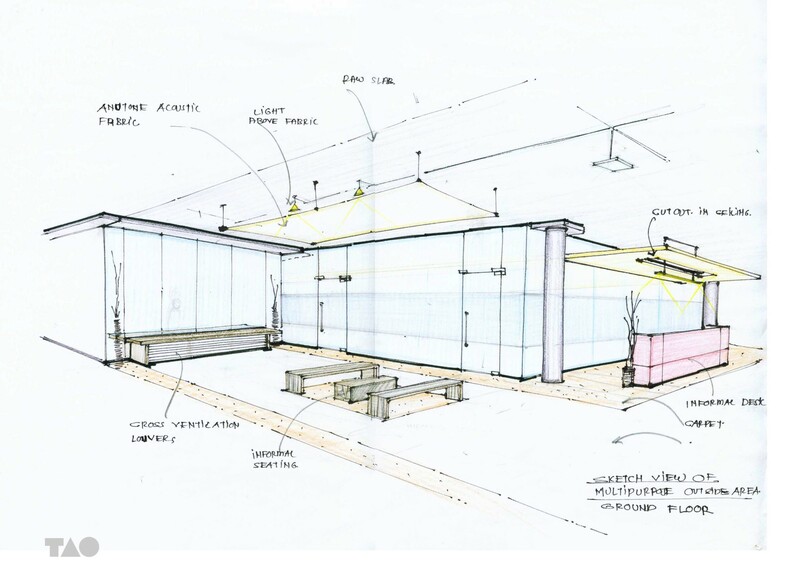 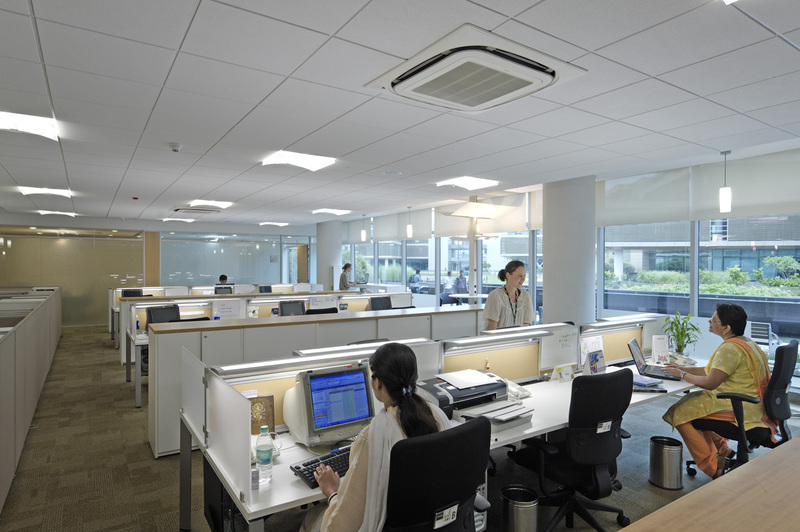 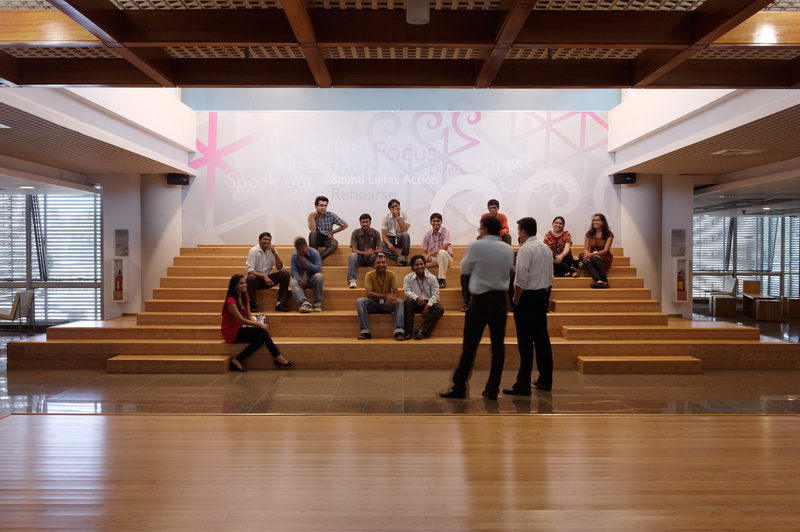 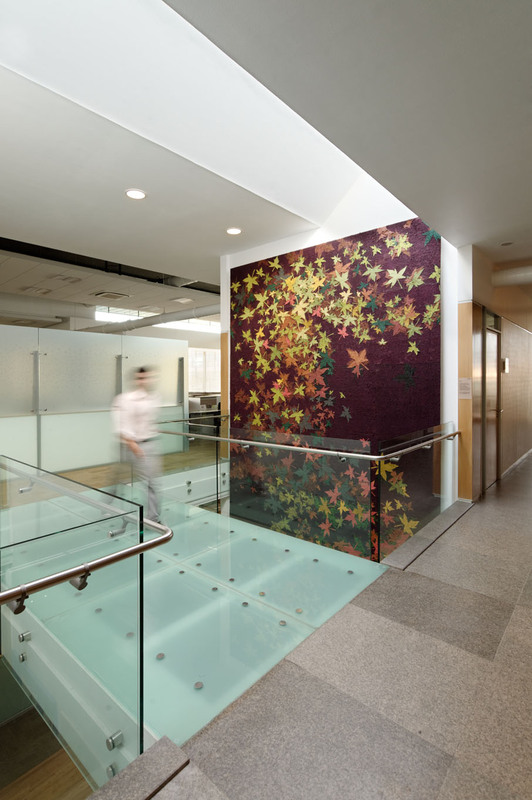 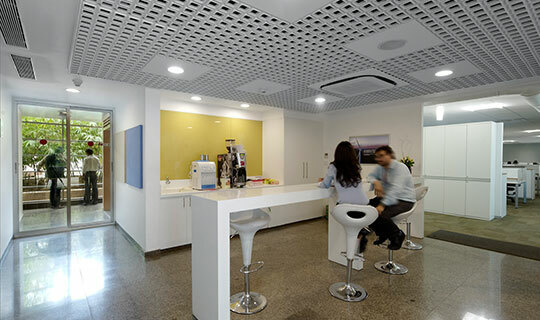 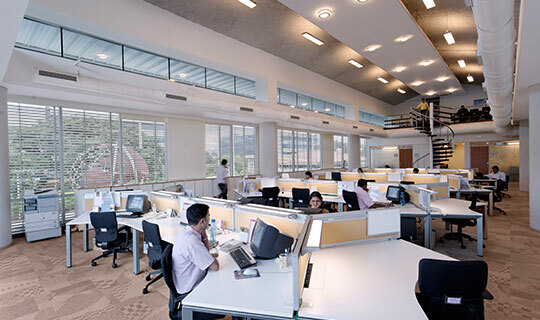 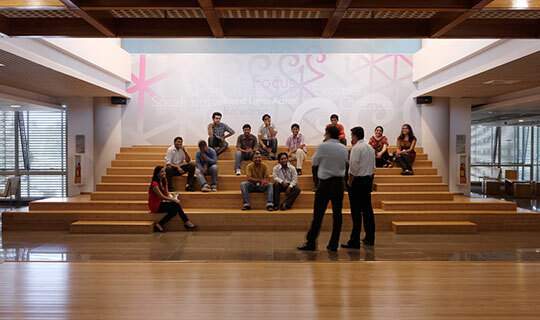 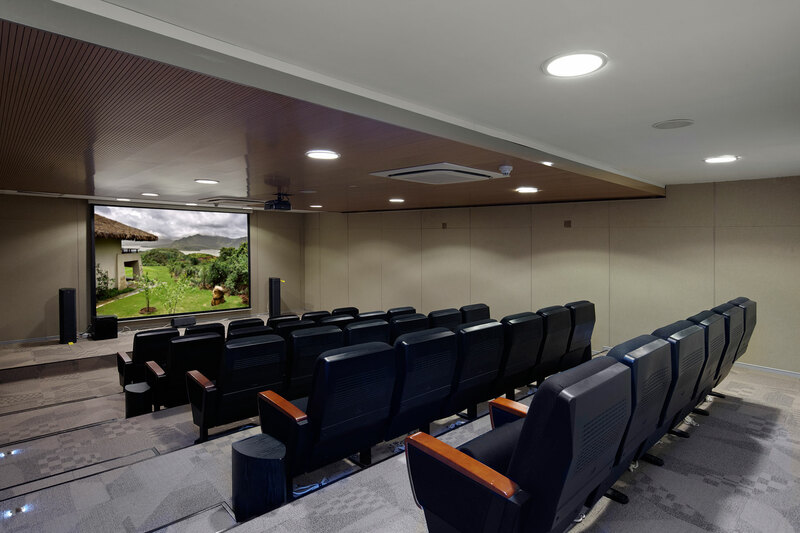 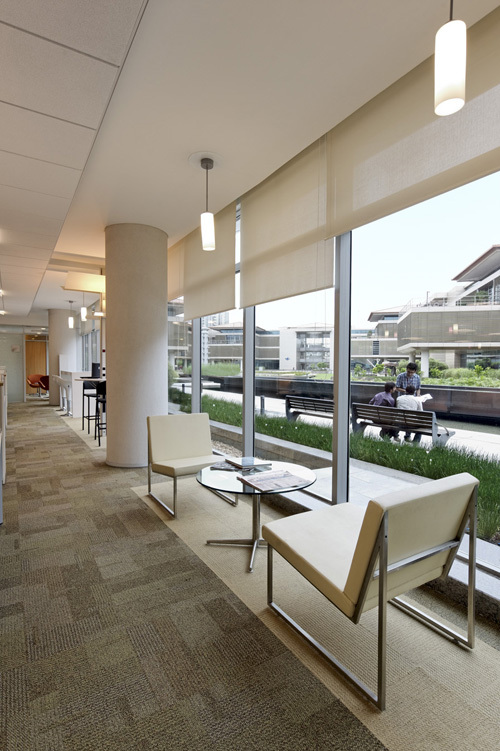 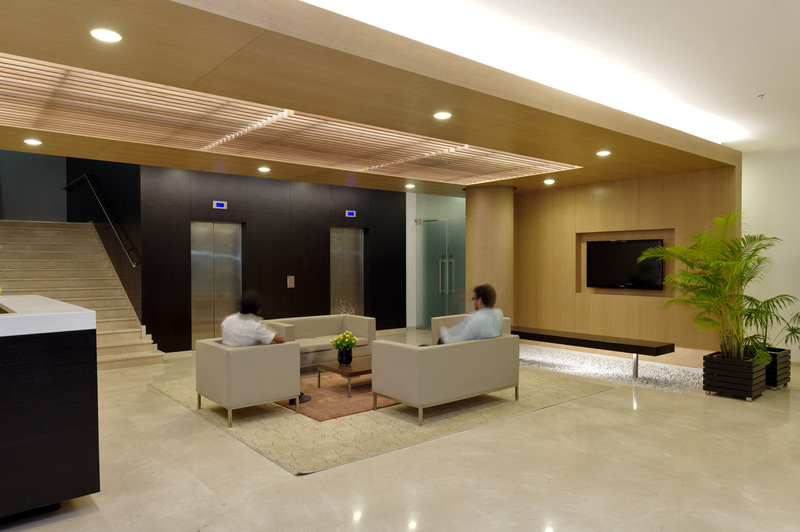 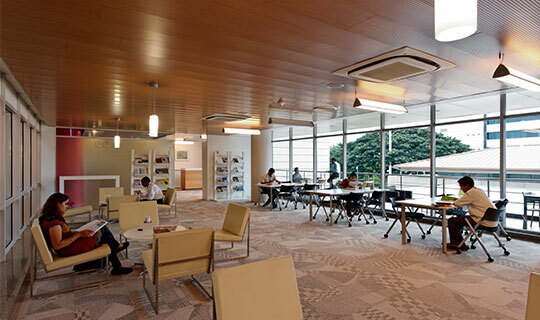 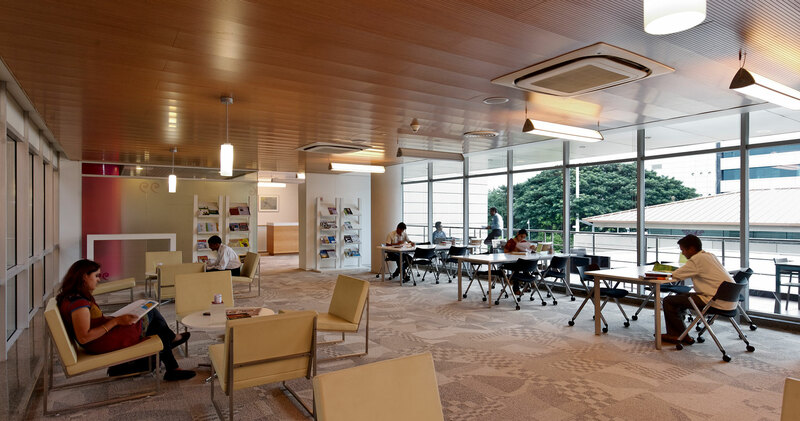 Various interesting spaces are generated such as pre-function lobbies, closed offices, open office, interactive bay, and breakout areas which help to segregate the various functional activities without disturbing the other zones. 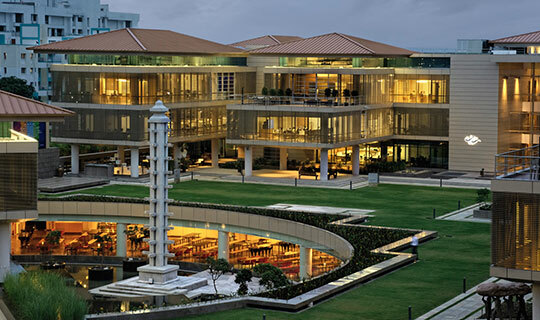 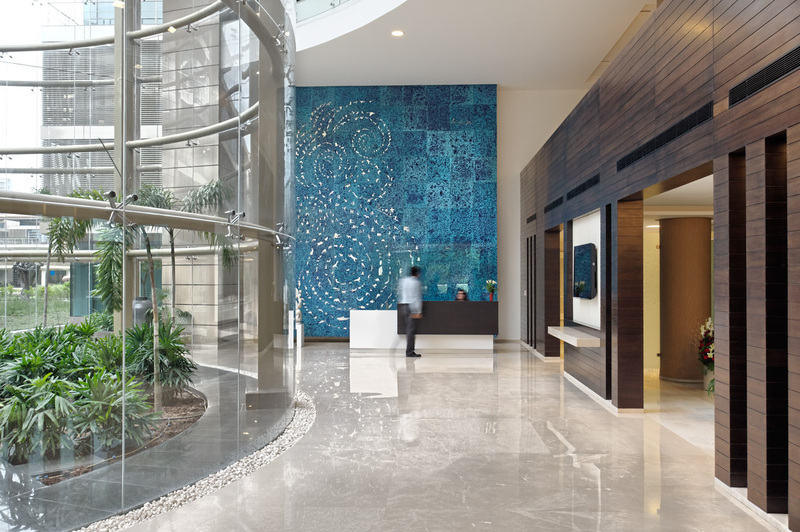 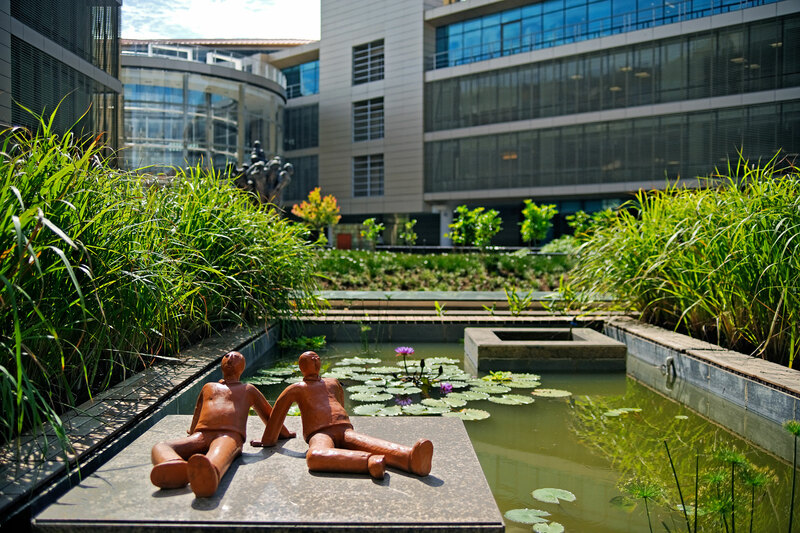 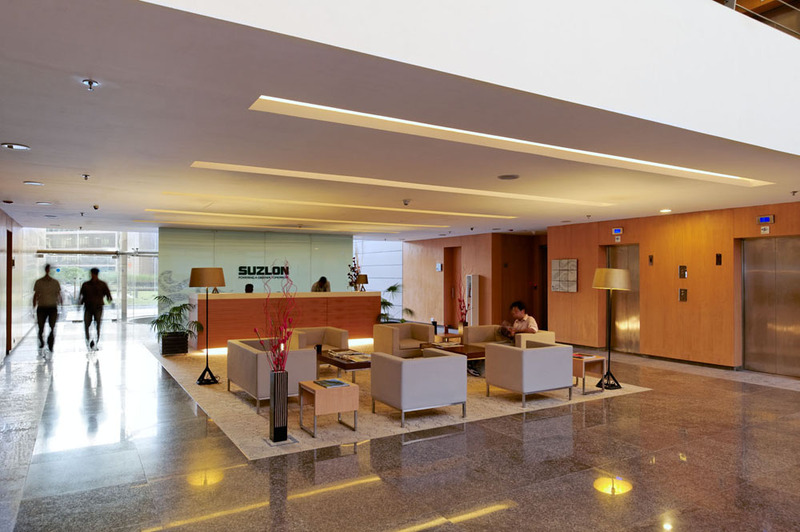 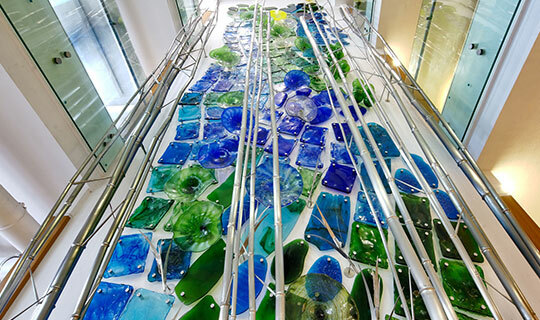 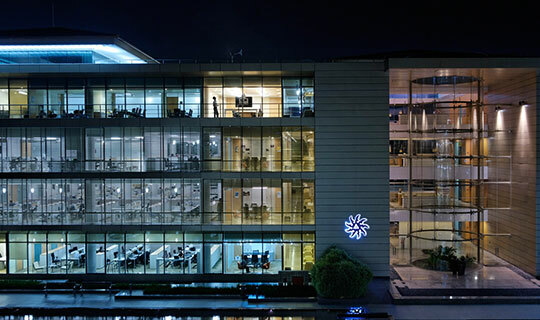 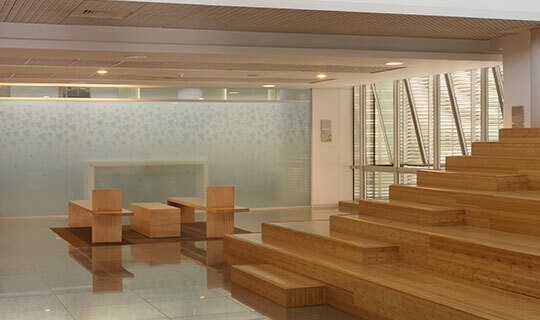 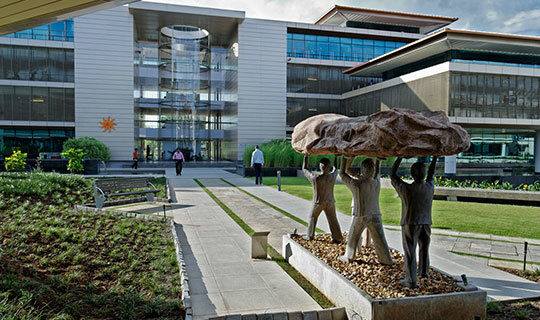 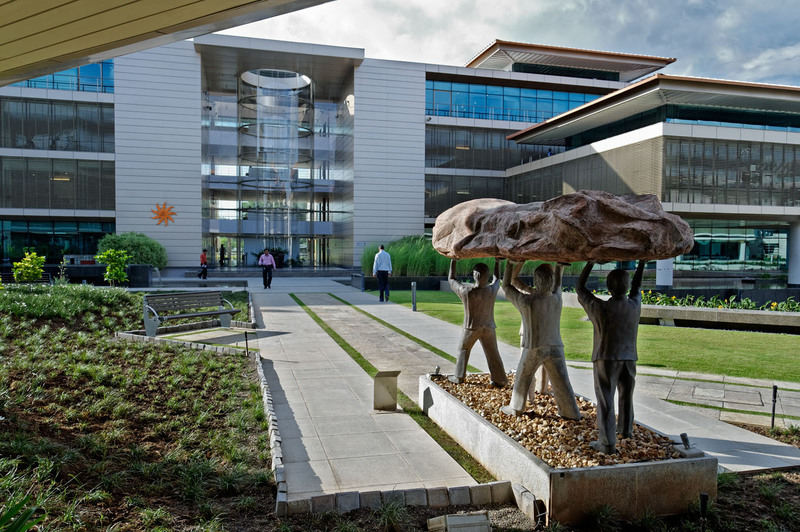 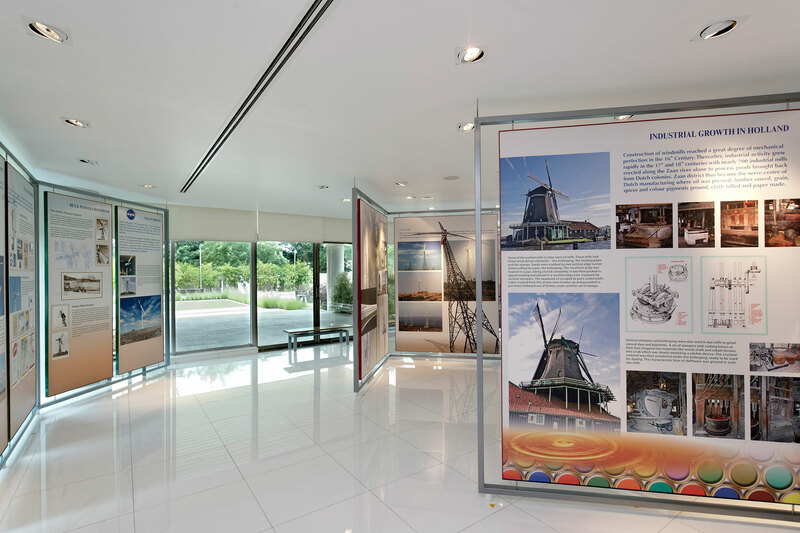 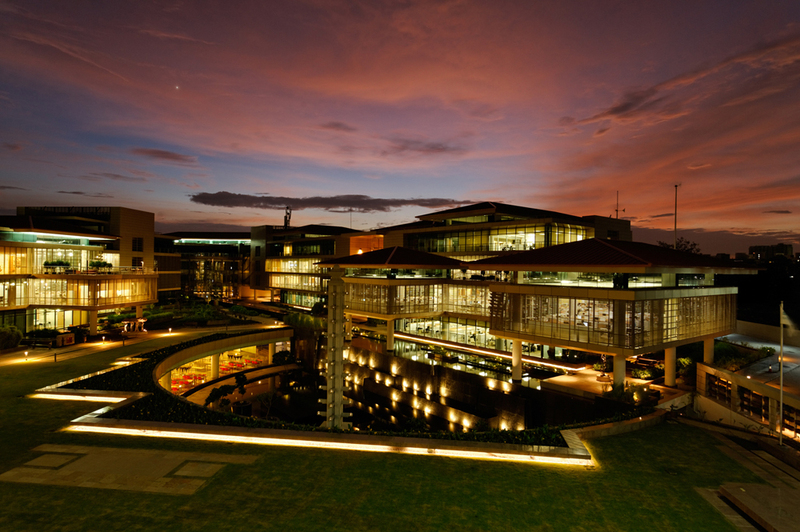 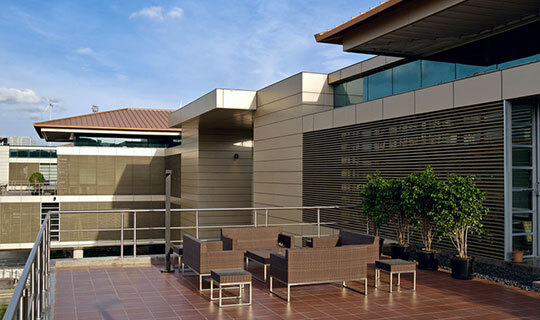 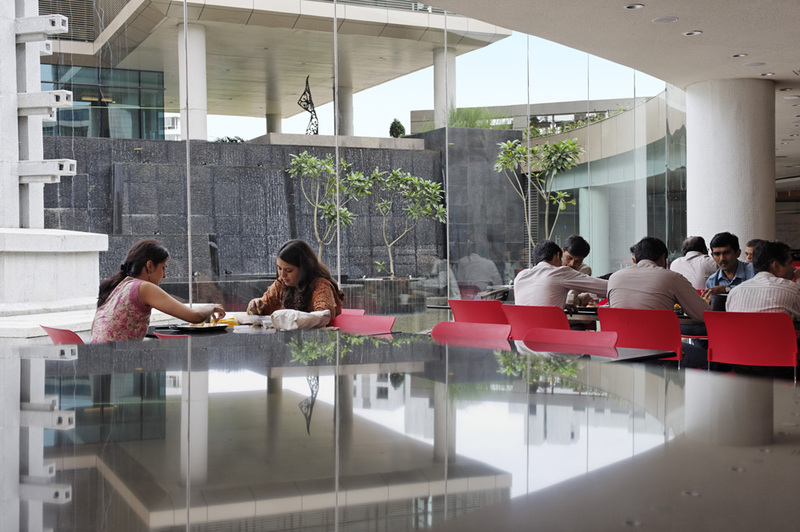 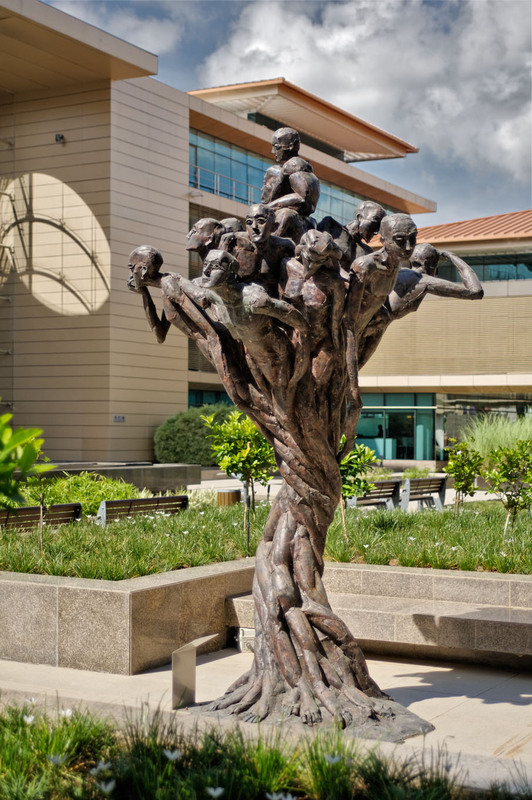 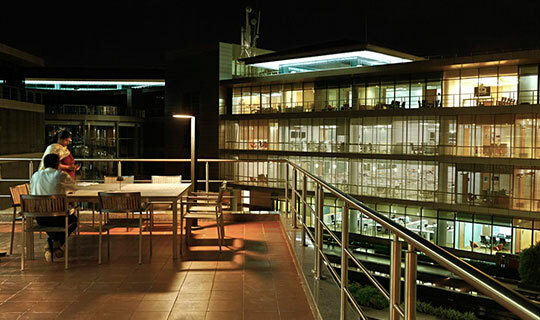 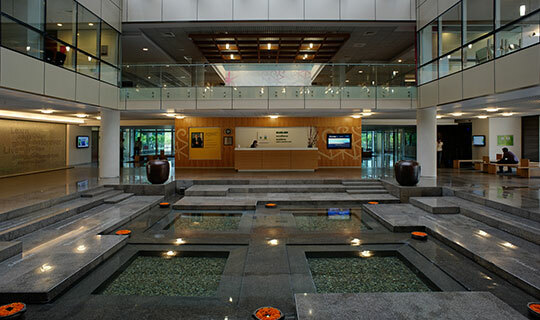 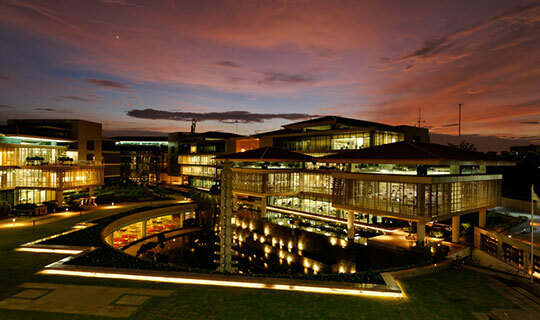 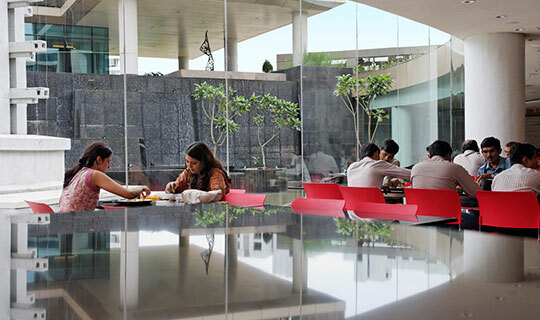 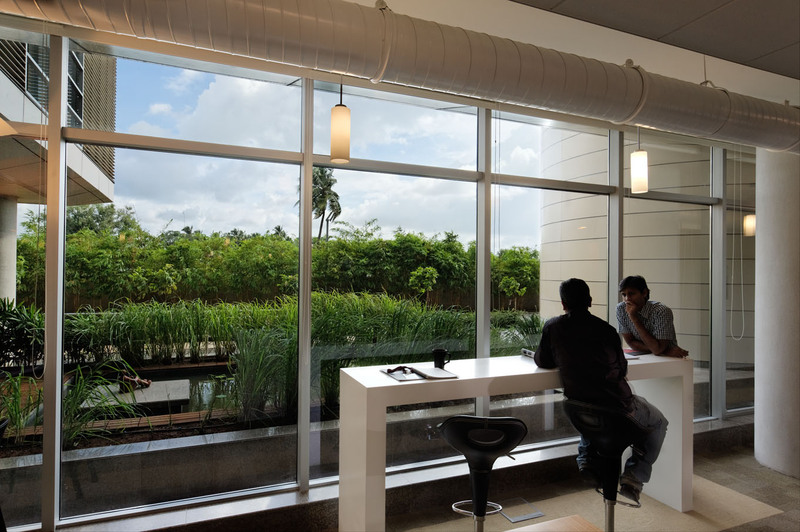 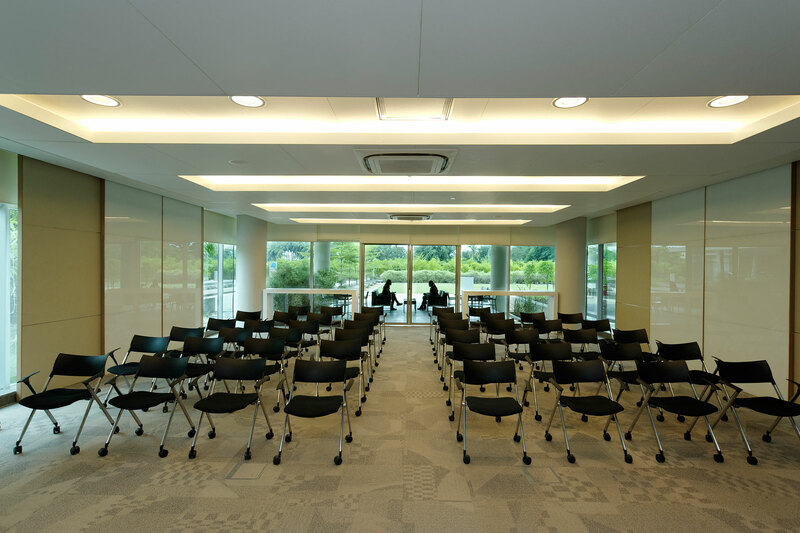 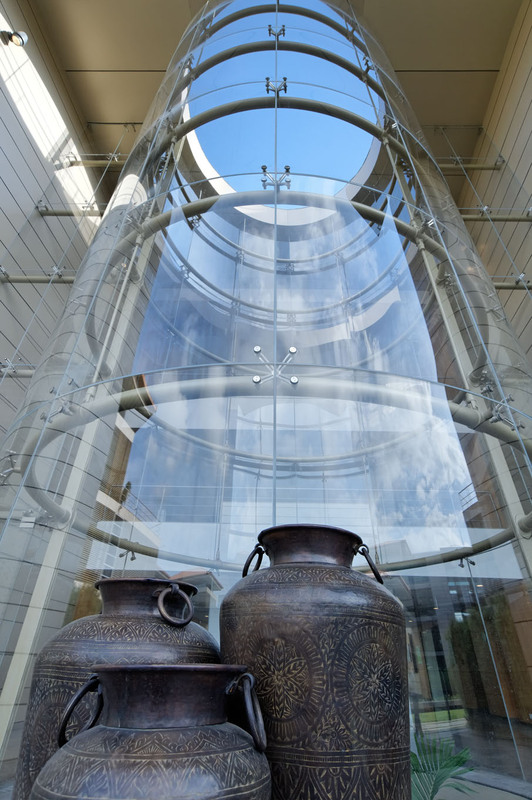 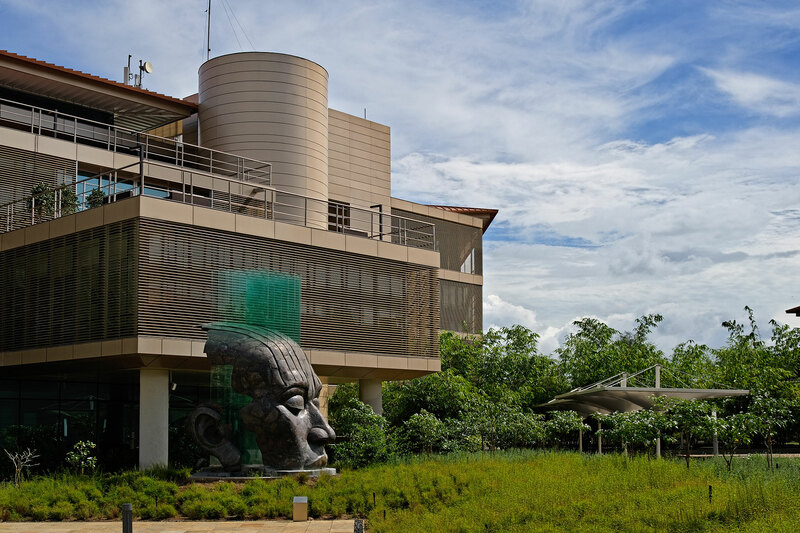 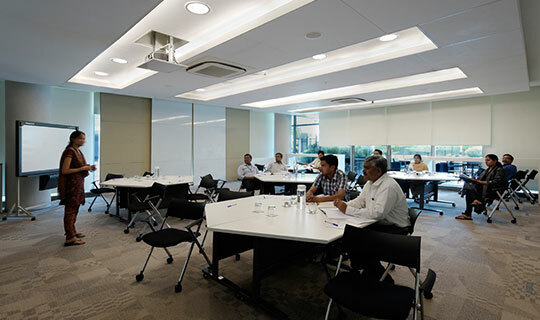 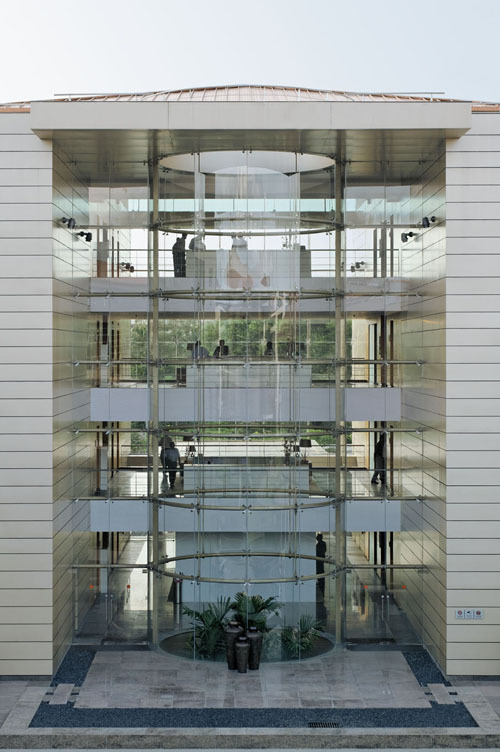 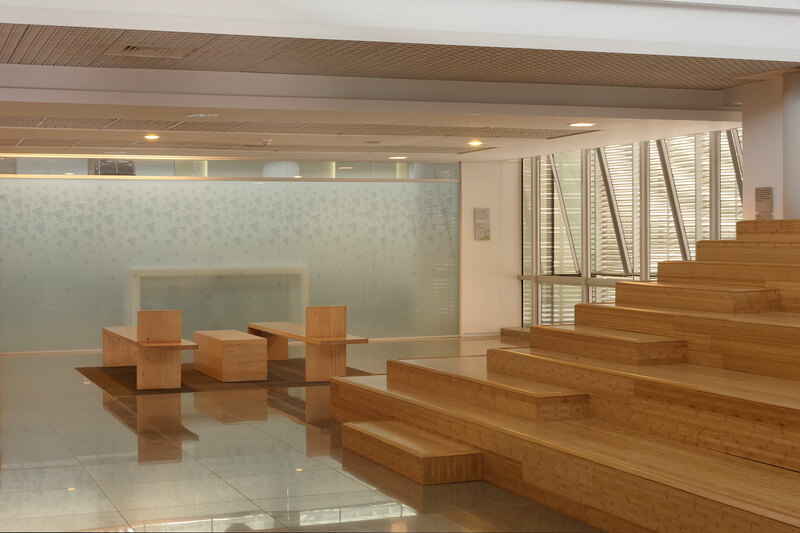 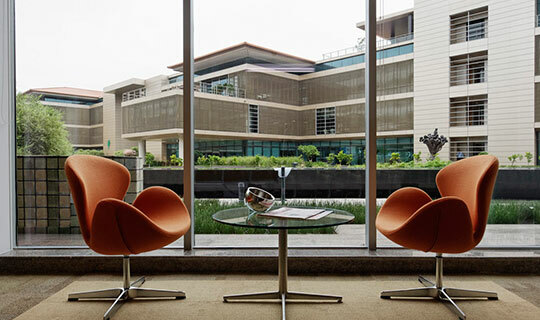 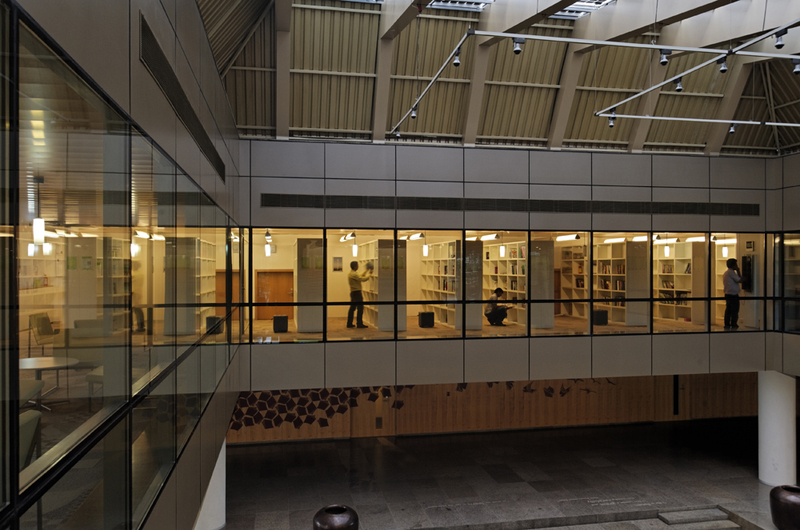 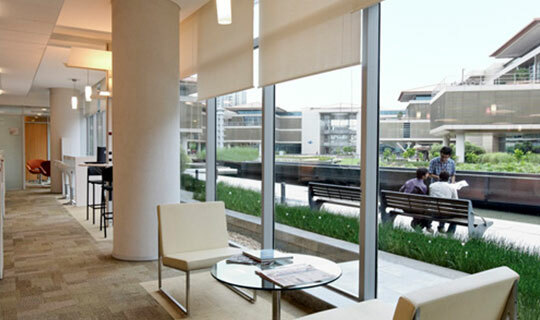 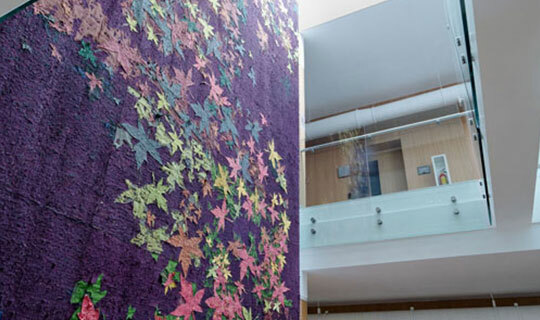 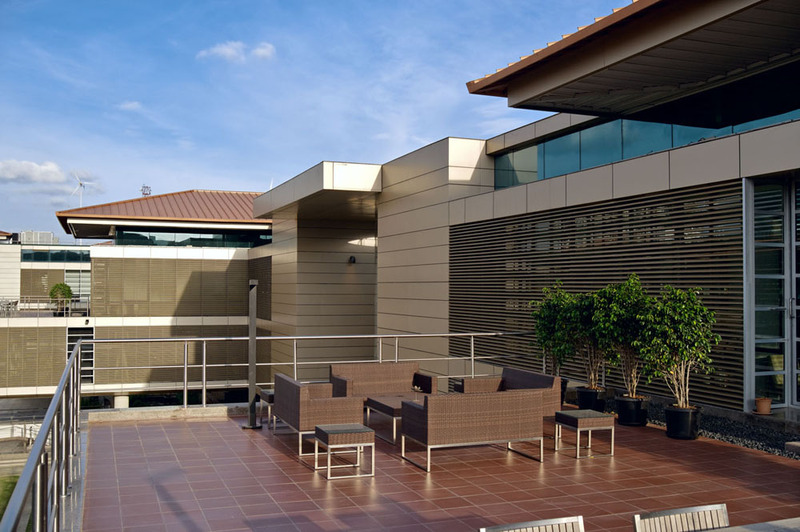 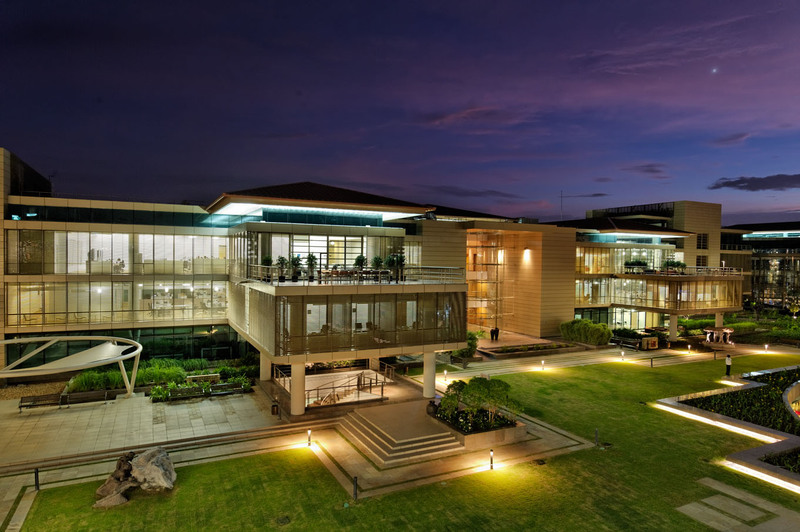 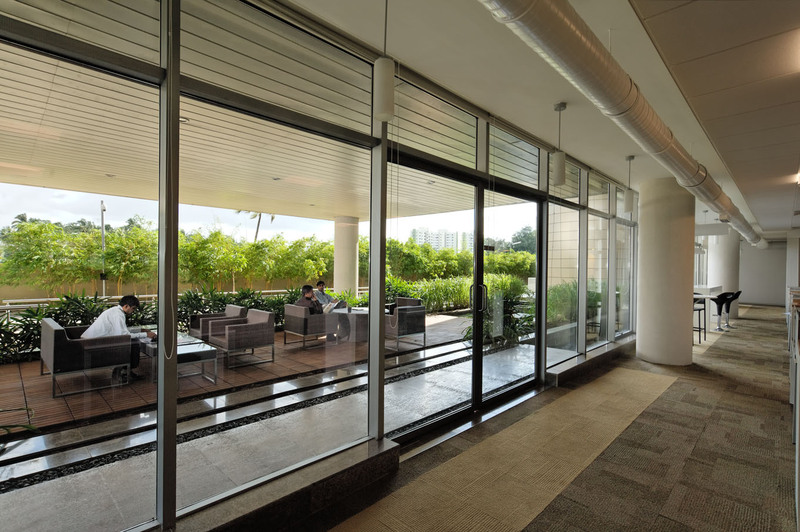 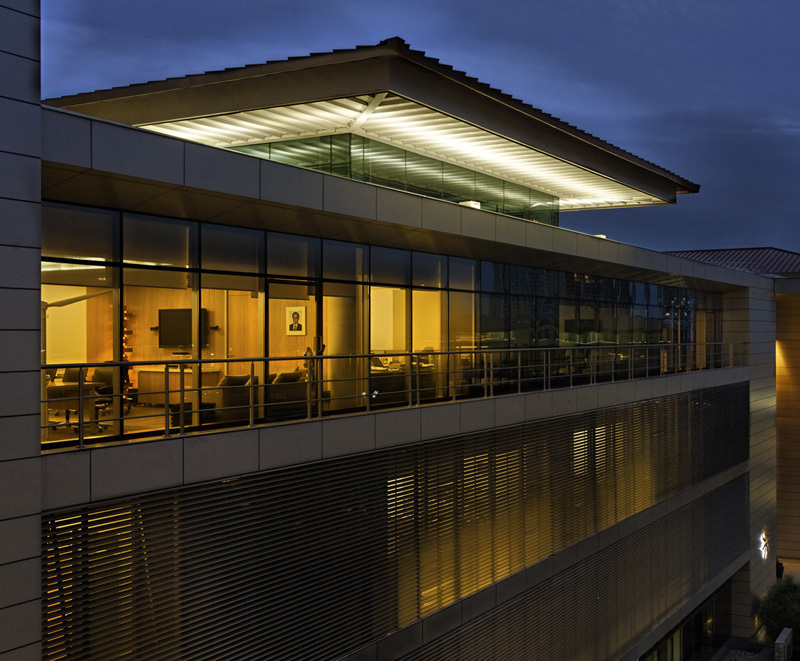 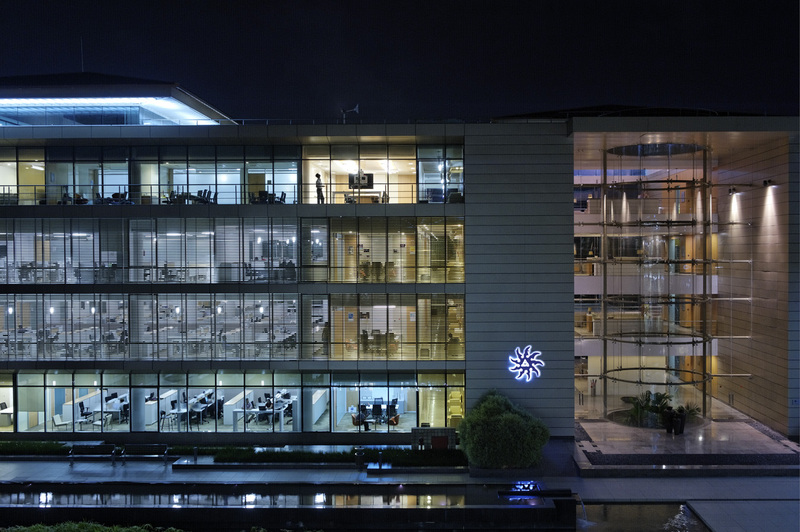 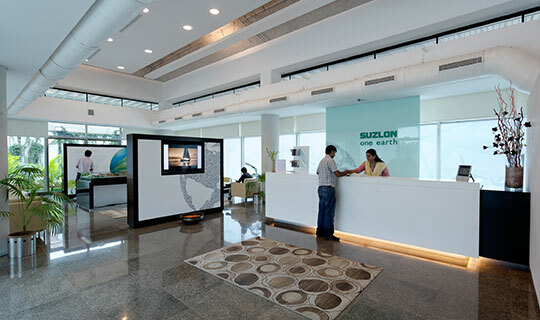 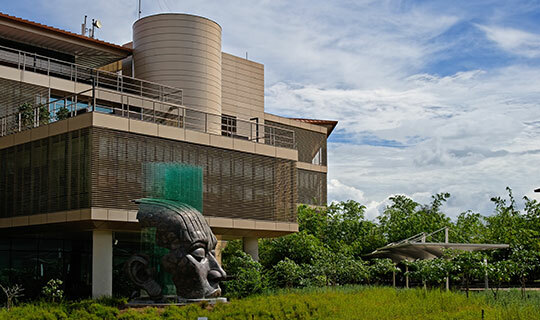 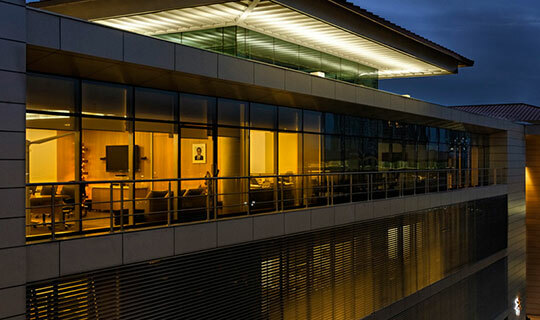 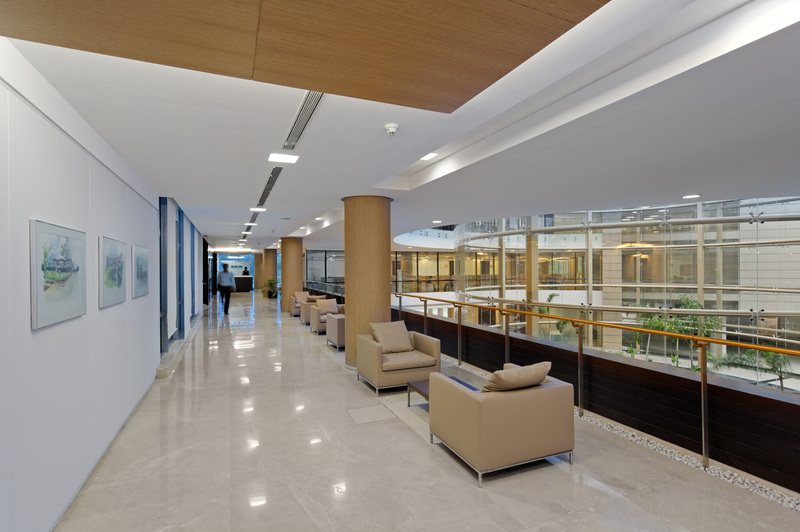 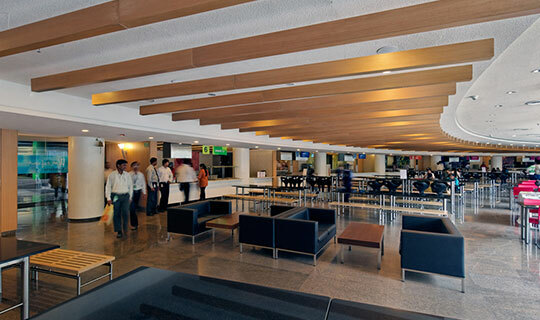 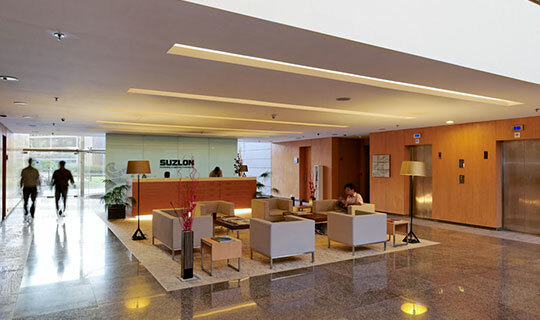 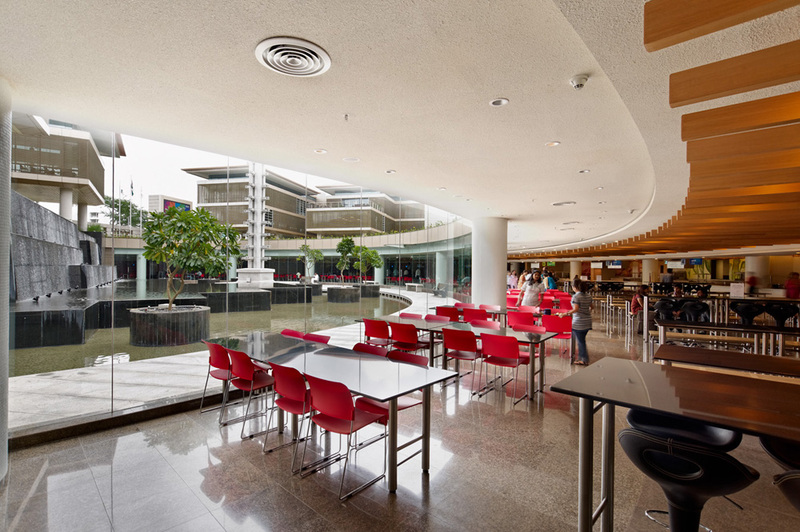 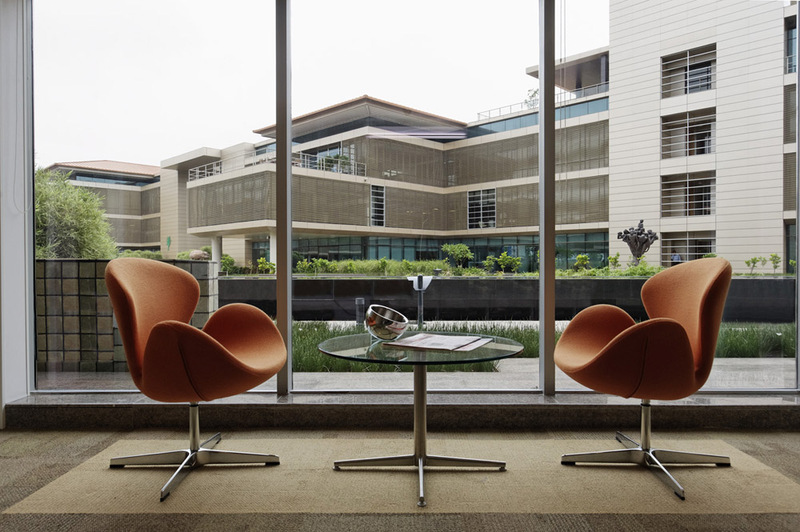 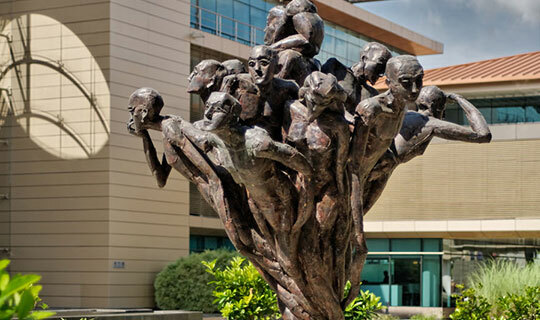 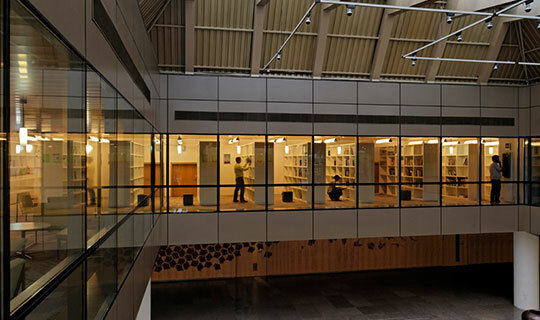 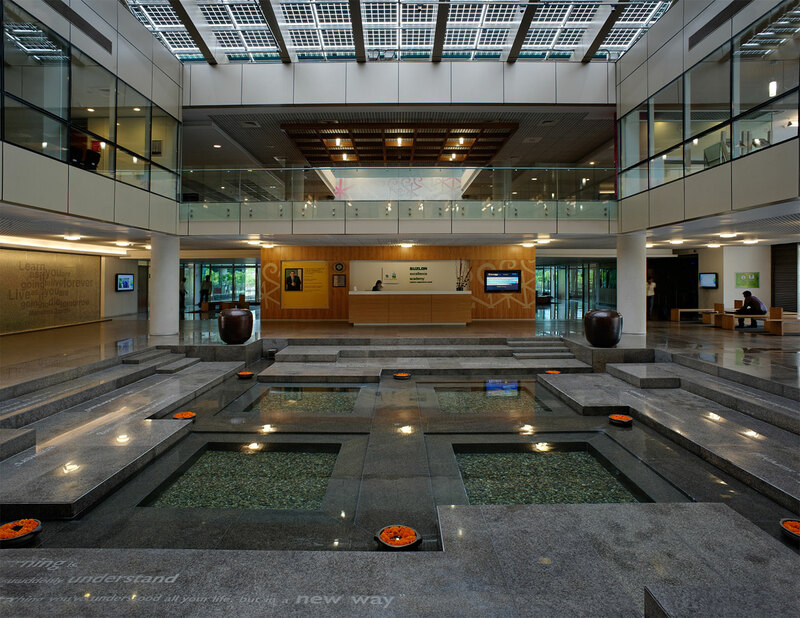 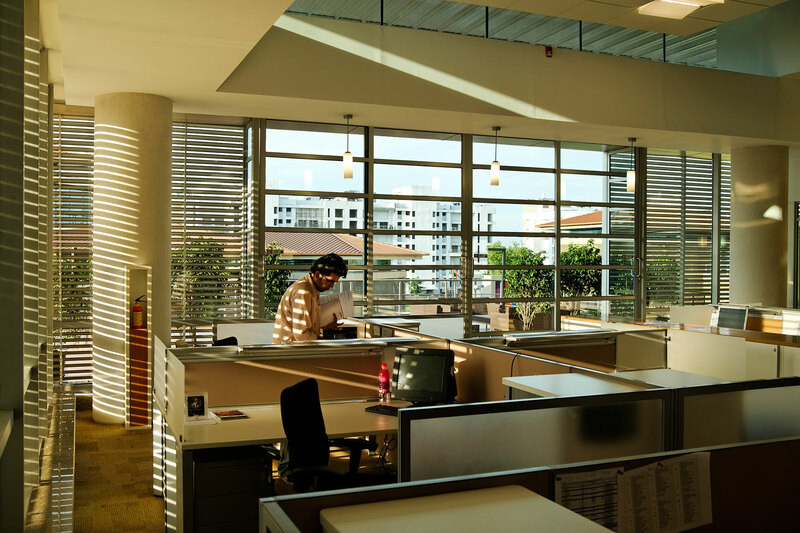 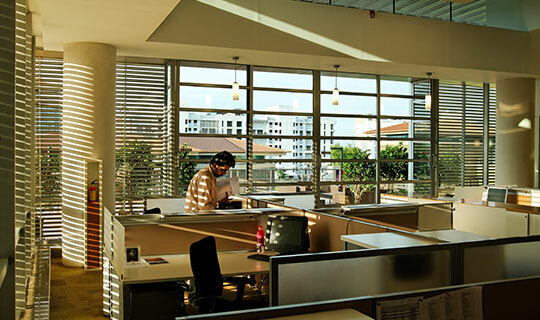 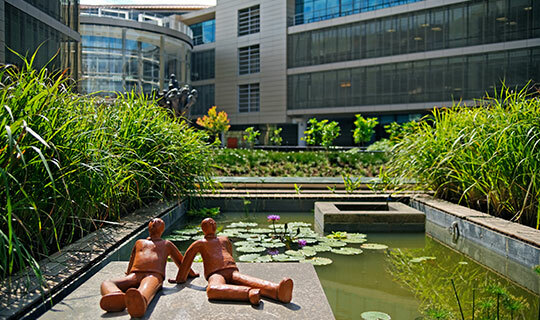 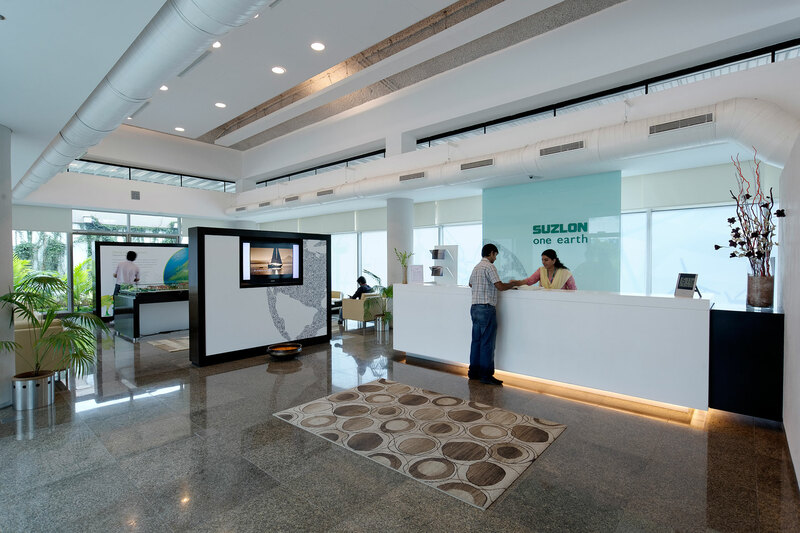 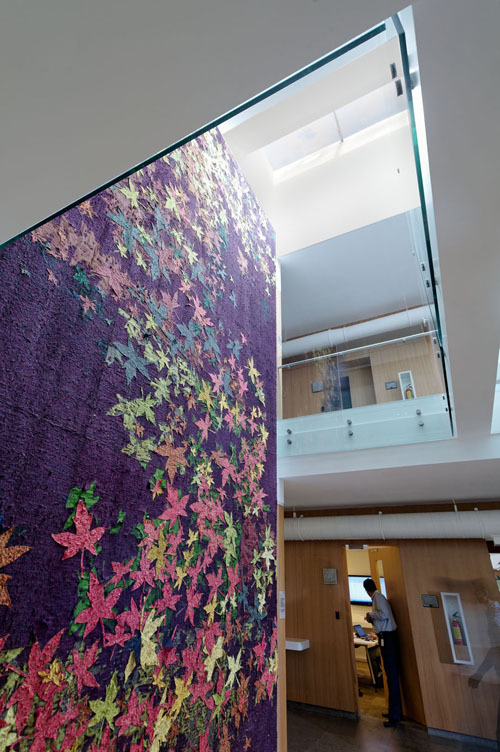 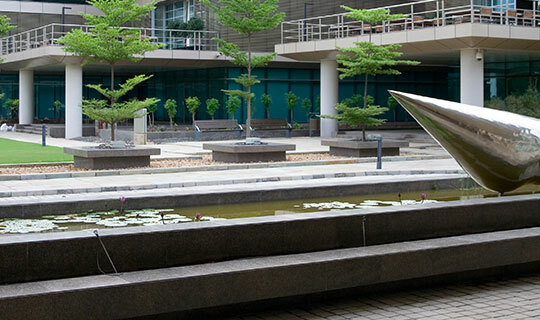 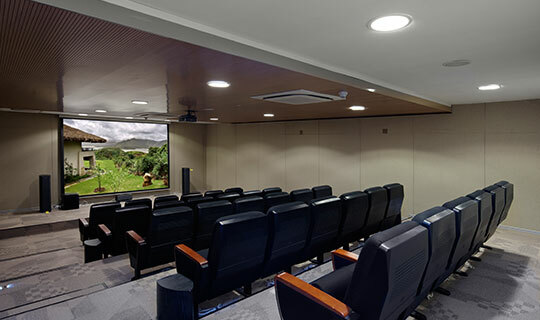 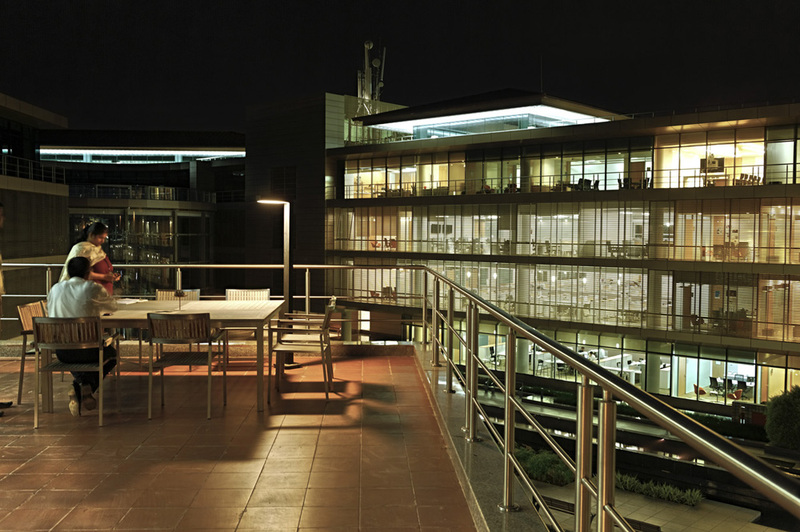 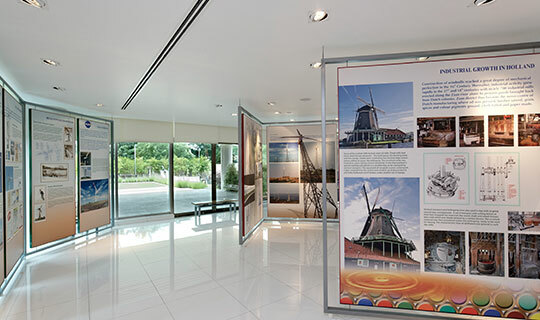 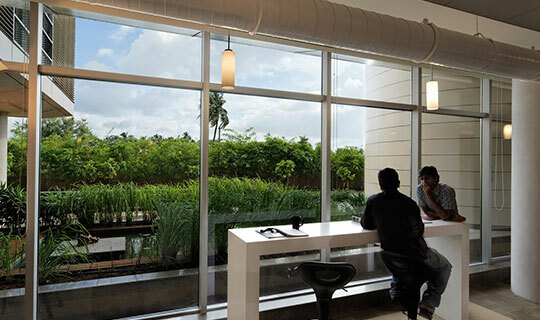 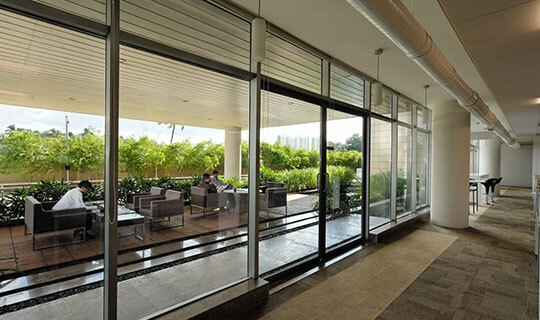 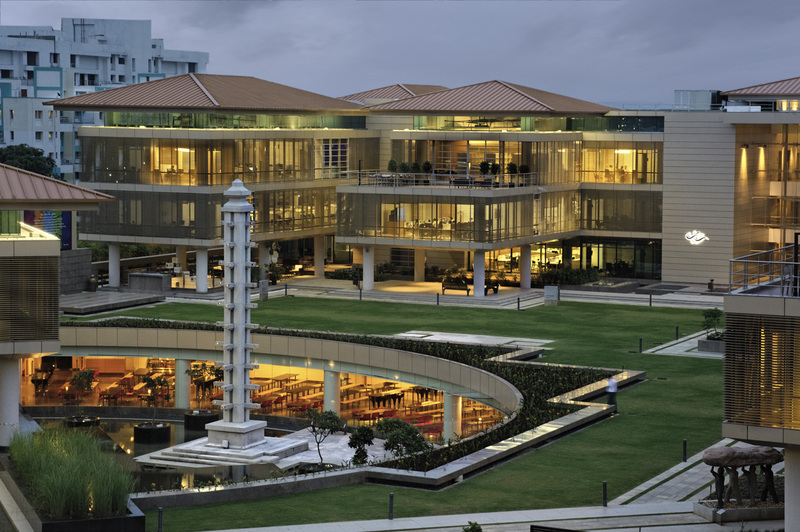 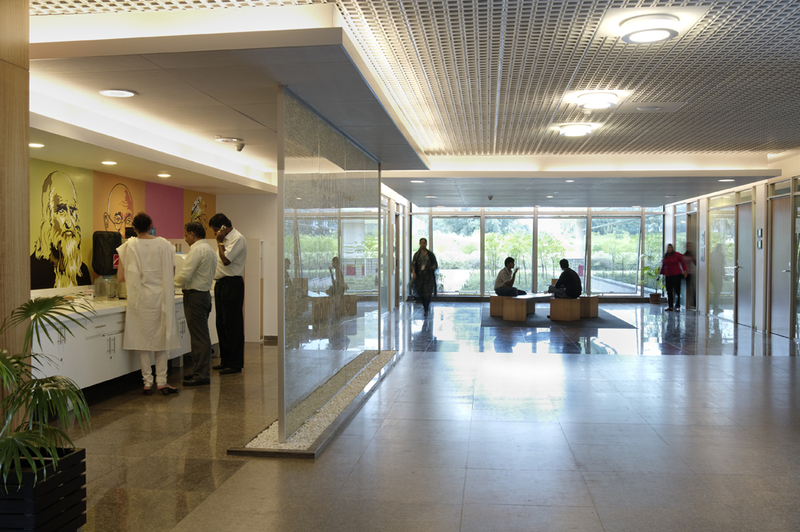 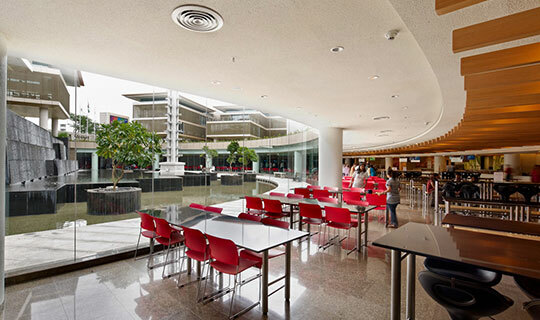 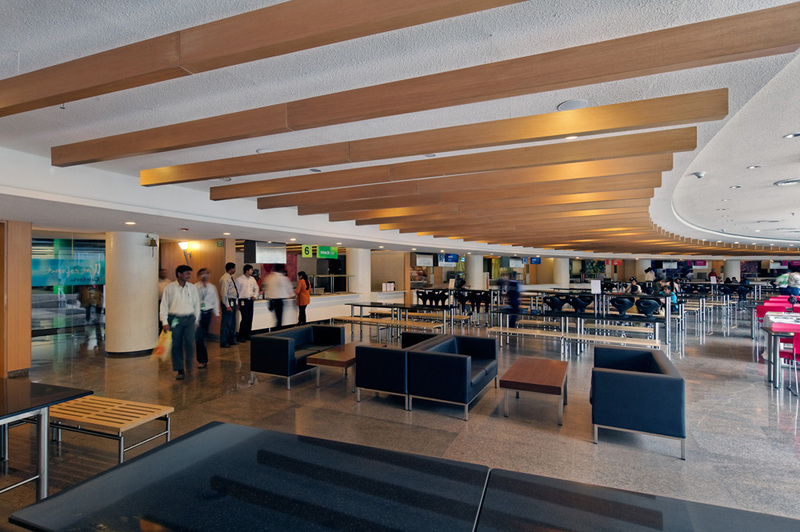 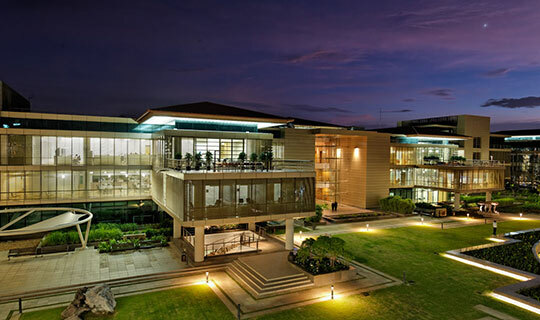 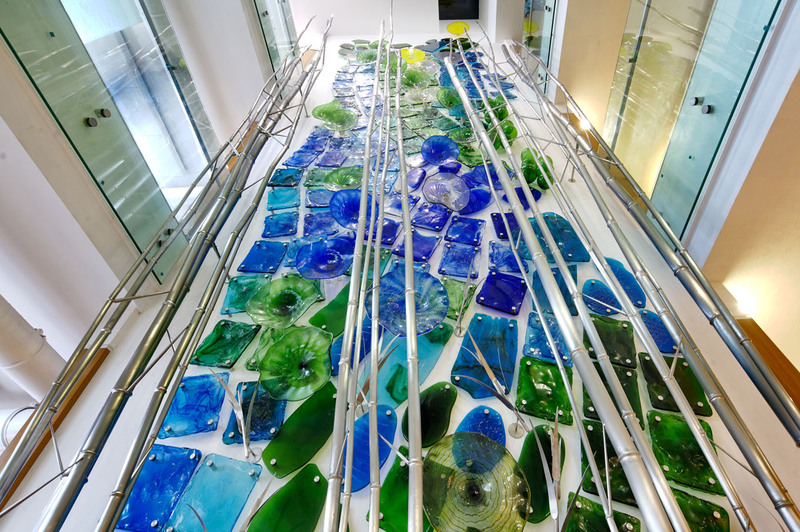 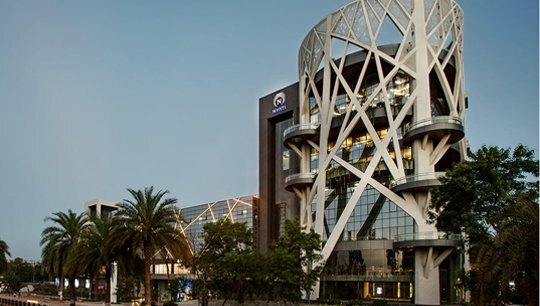 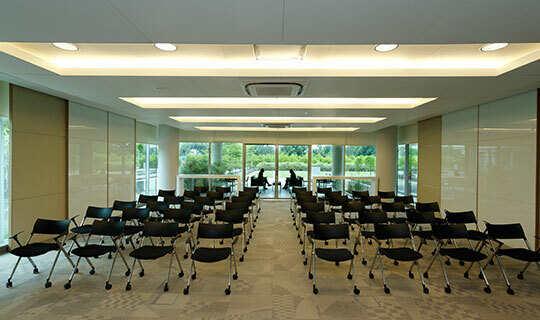 Being the headquarters of the Suzlon Energy Group, the project was conceived as a sustainable campus, incorporating environment conscious elements at every level. 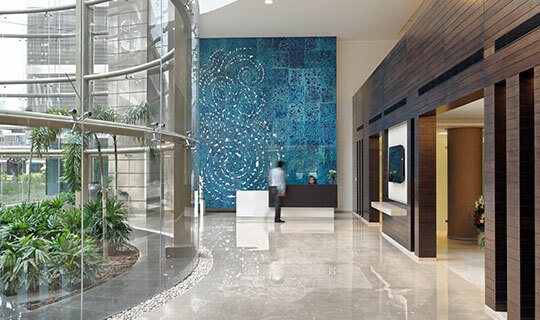 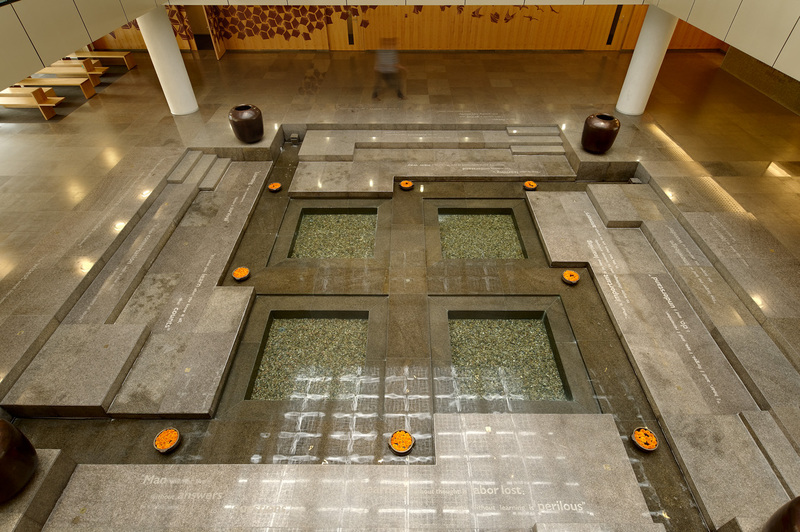 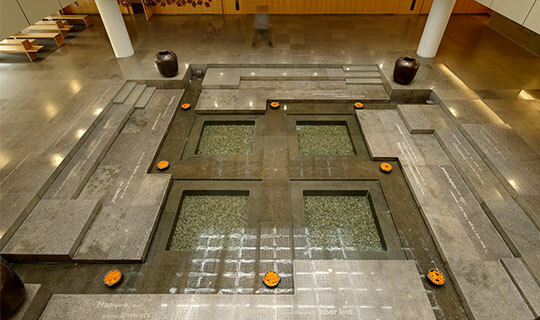 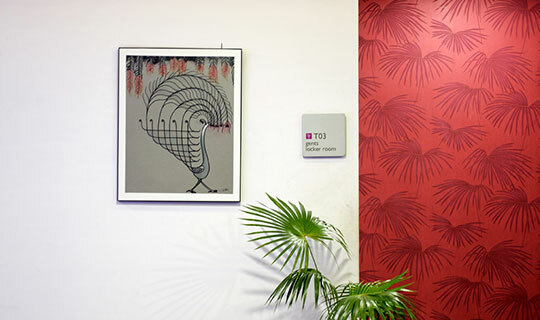 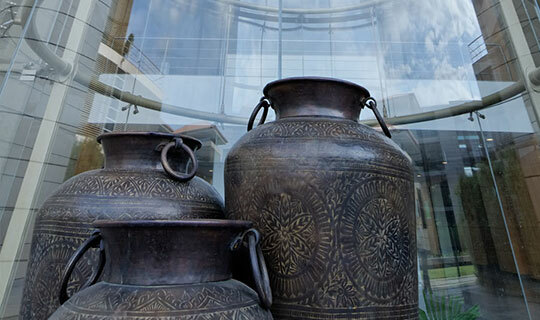 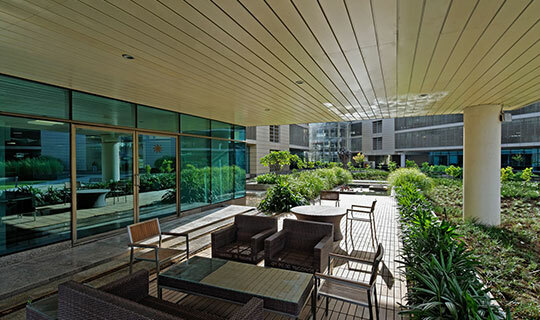 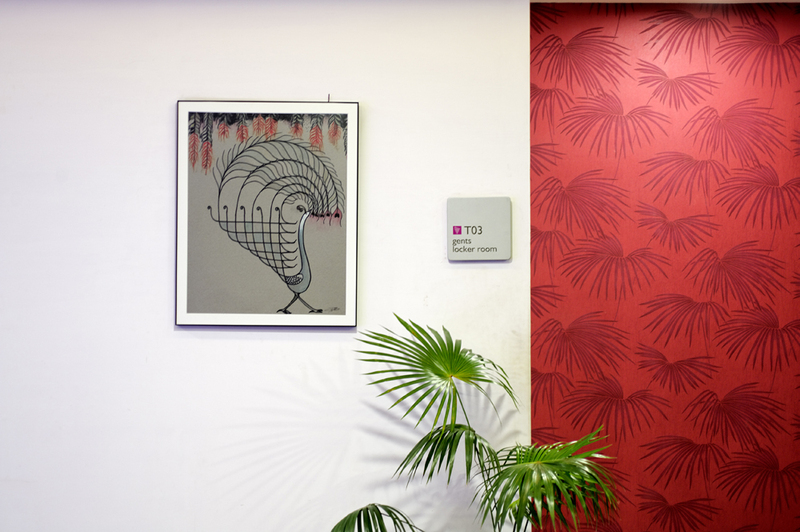 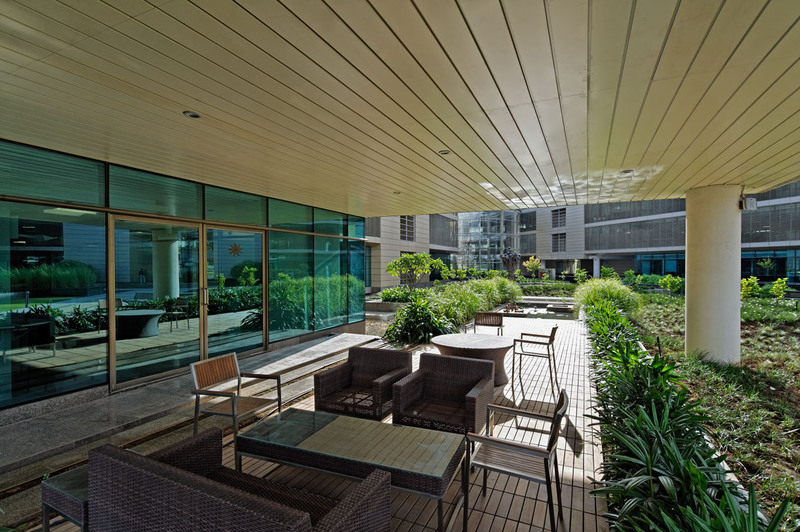 A conscious attempt towards sustainability has resulted in the project being granted the prestigious IGBC LEED Platinum certification and TERI GRIHA 5 Star Rating for Core, shell and interiors. 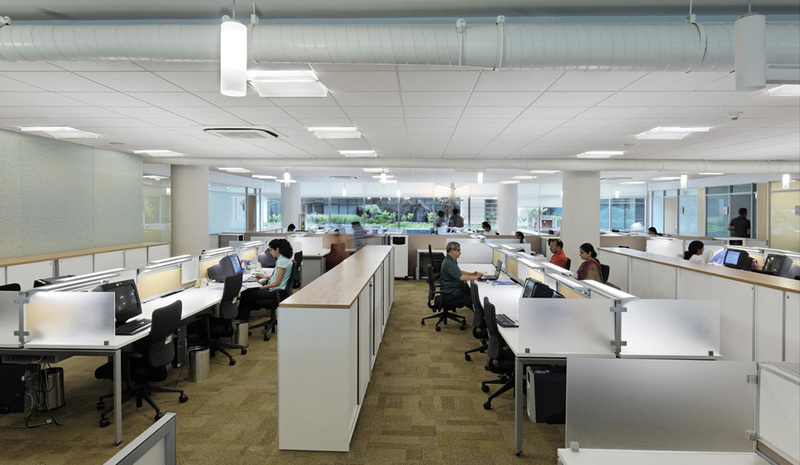 Incorporating various work patterns and layouts: Hives, Clubs, Dens and Cells – towards establishing a new work culture encouraging both, collaborative teamwork and individual creativity.